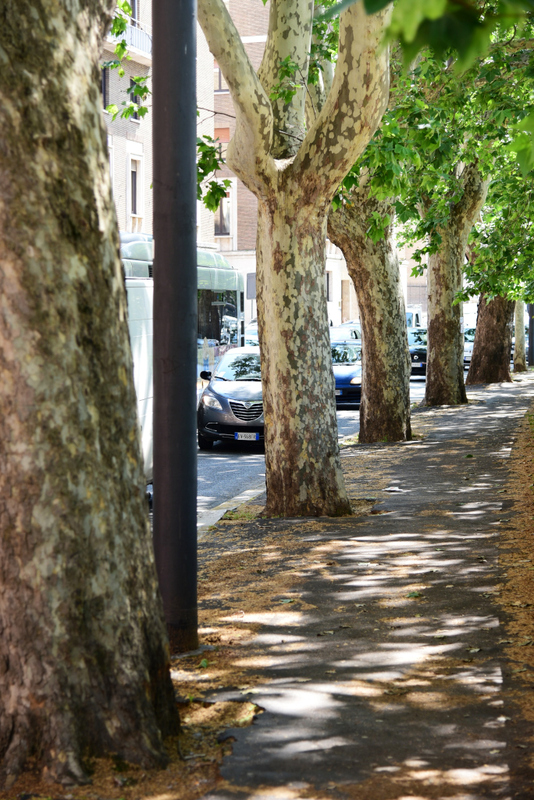 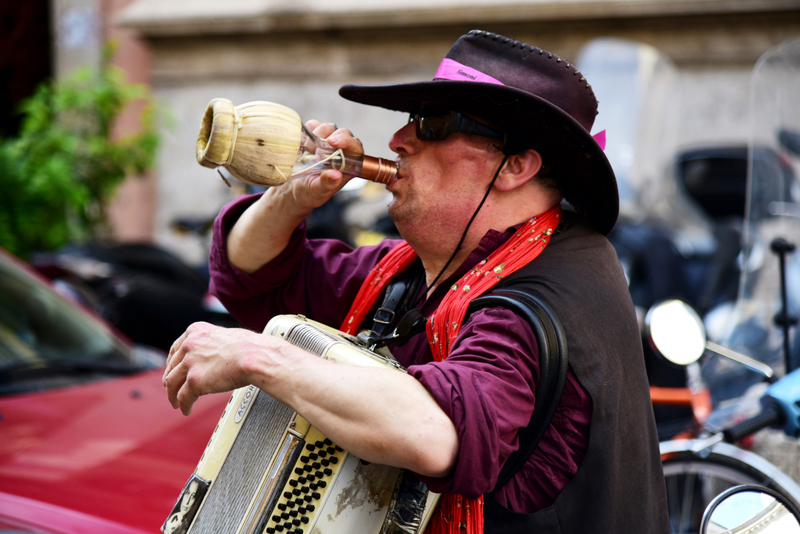 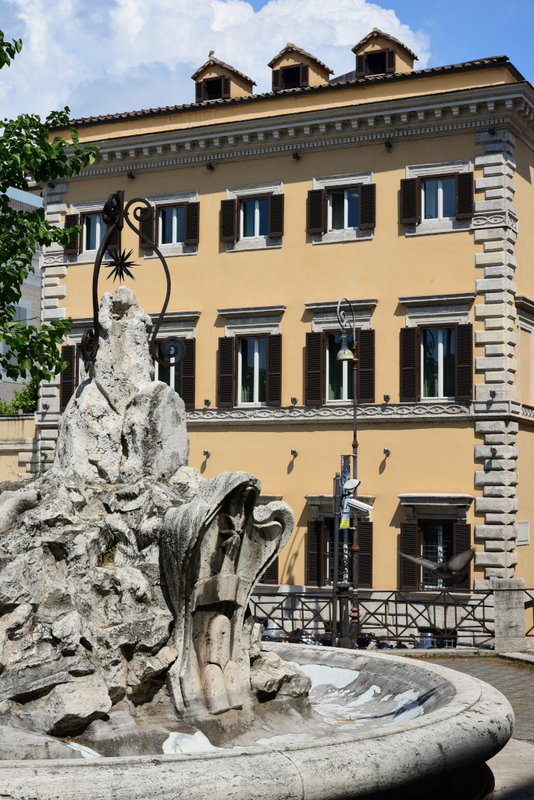 Campo di Marzio is the fourth rione of old Rome, representing the field the joined the hills of Rome with the Tiber, which was used in ancient times for military drills. 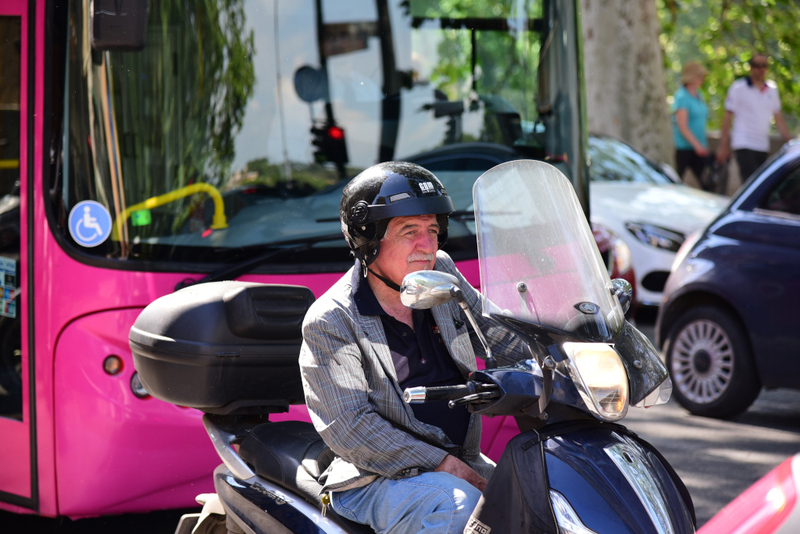 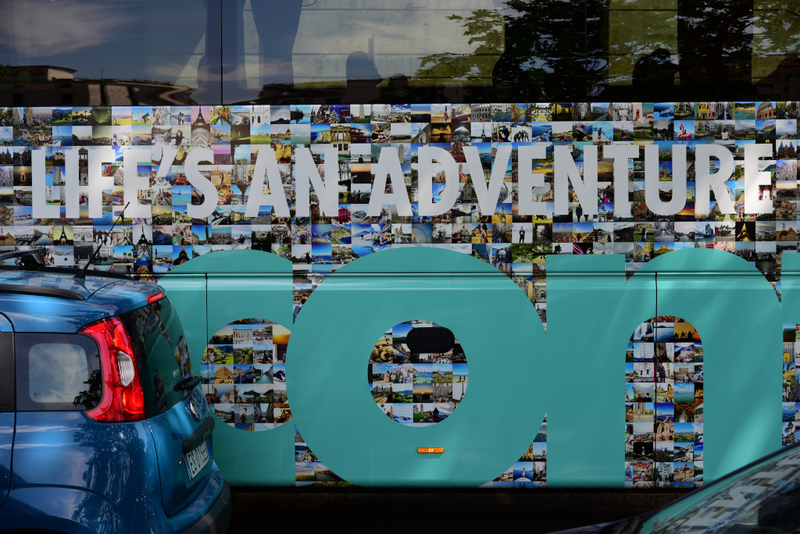 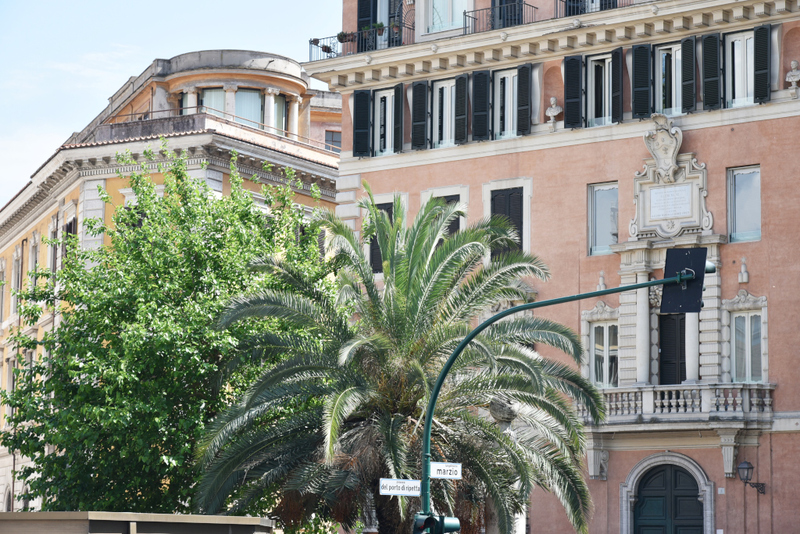 Today, the large Campo di Marzio rione is bounded to the north by the Flaminio, to the northeast by Piazza del Popolo, villa Borghese to the east, Piazza di Spagna to the southeast, and Piazza Colonna to the south. 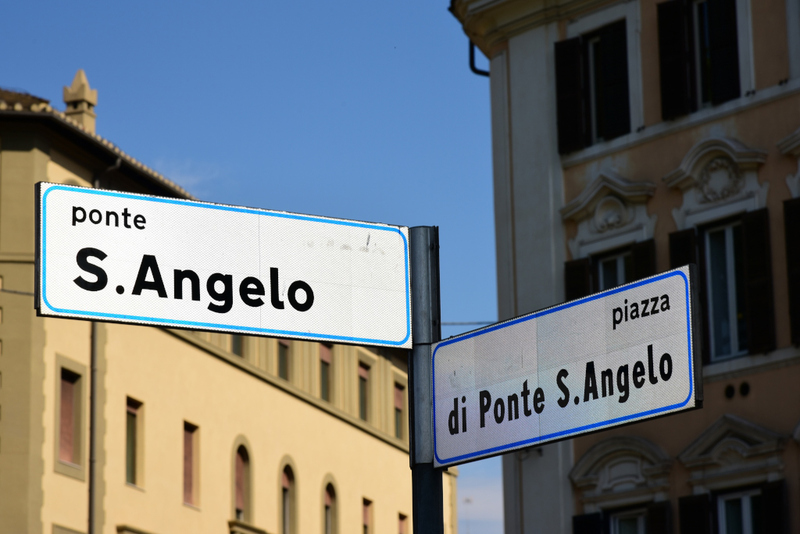 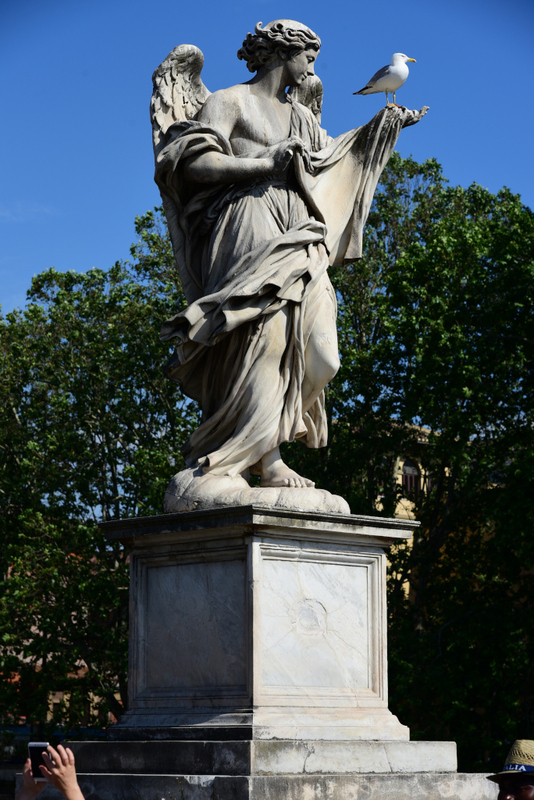 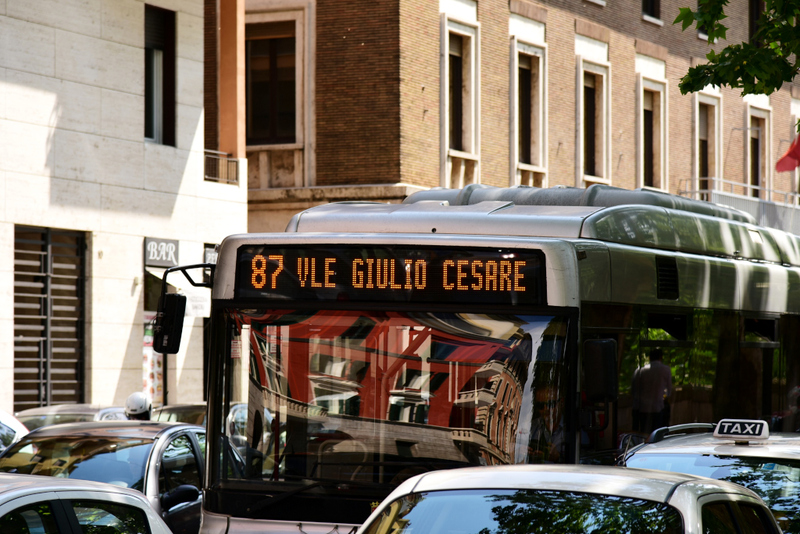 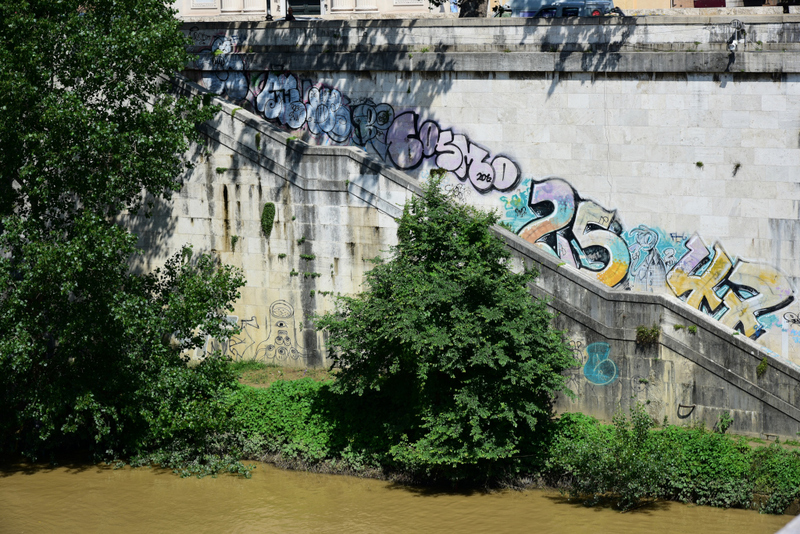 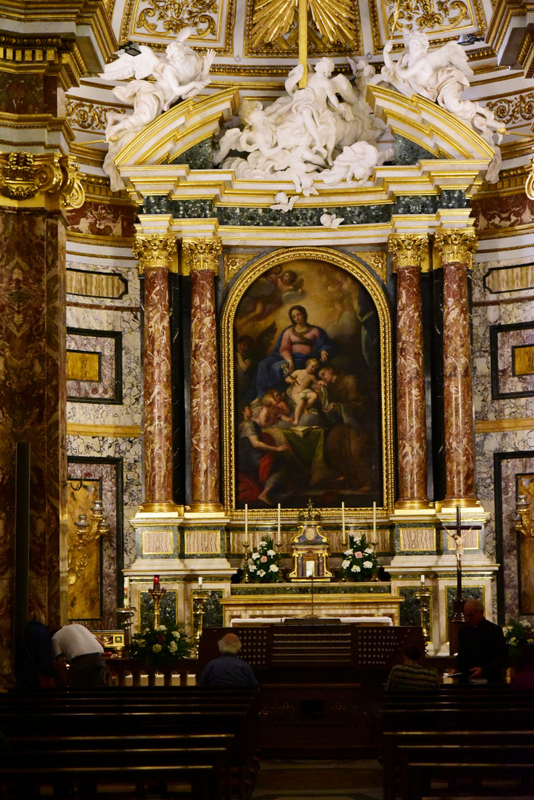 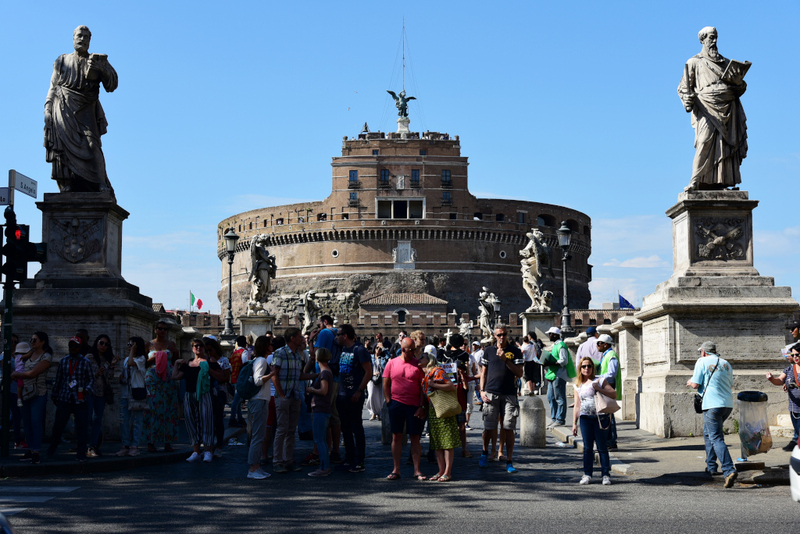 The area is also notable for the tomb of Emperor Augustus and Via del Corso, which runs on a north-south axis through old Rome and becomes the via Flaminia to the north of Piazza del Popolo. 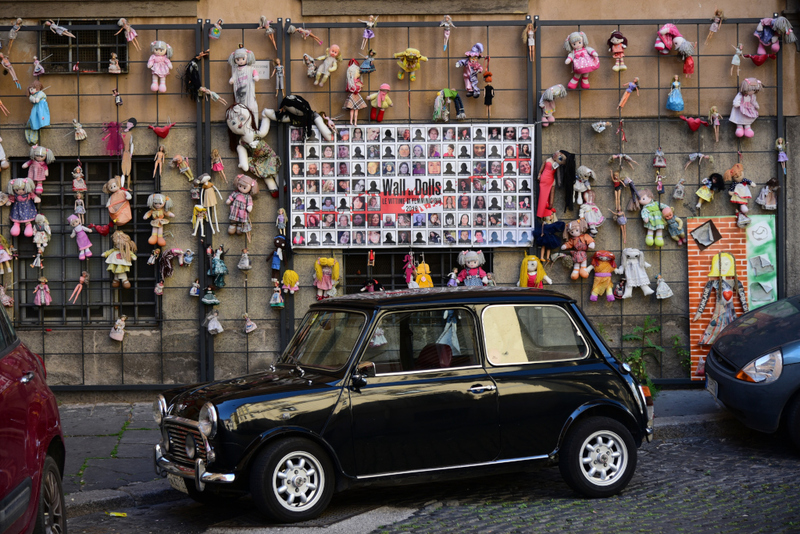 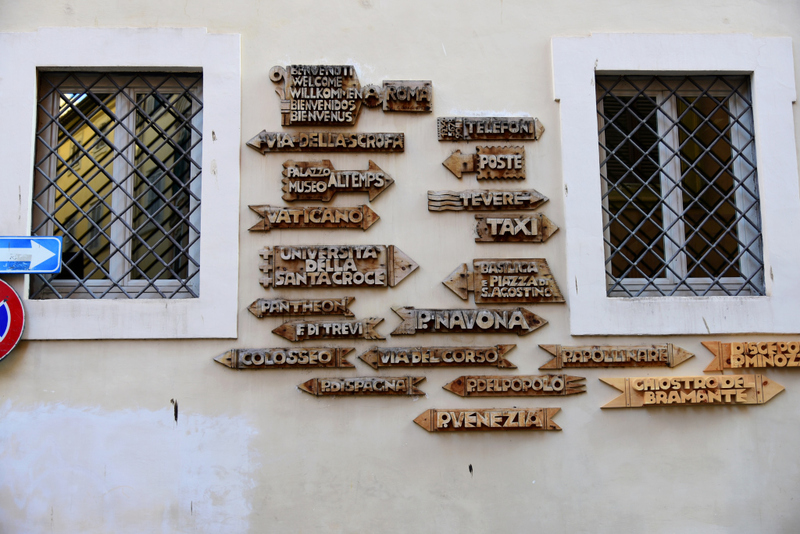 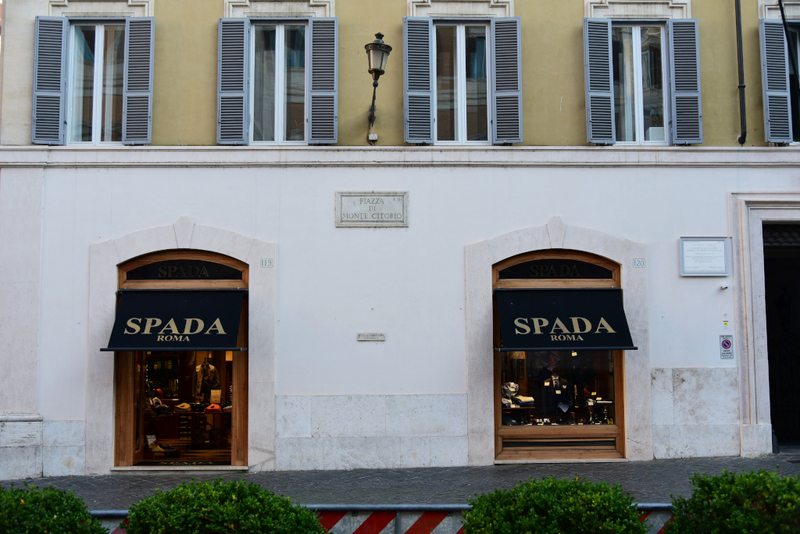 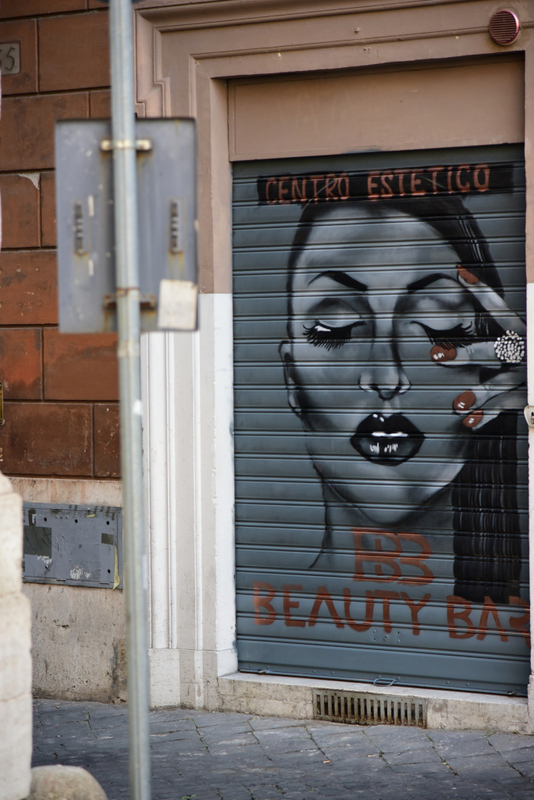 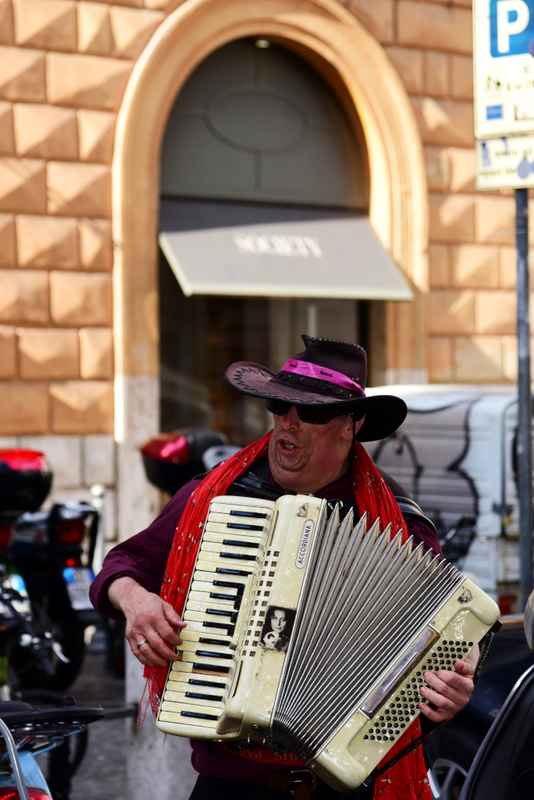 The enclave situated in the alleys between Via del Corso and Piazza di Spagna is one of the leading fashion districts in the world. 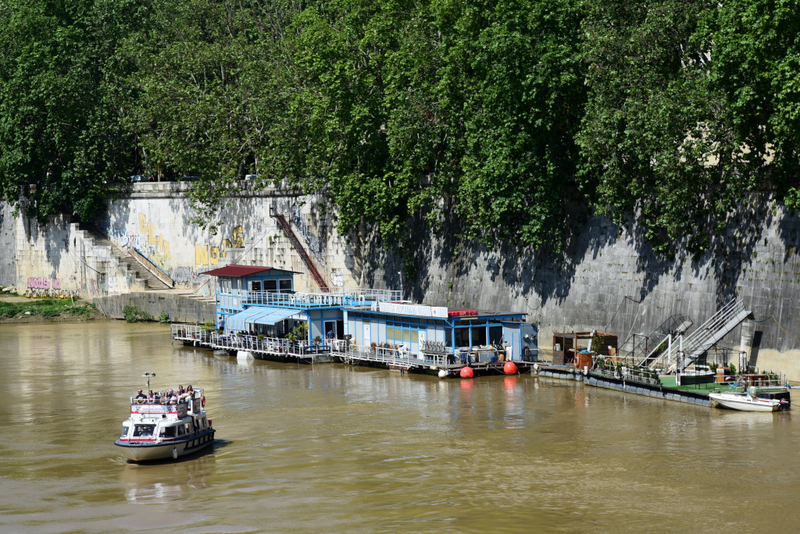 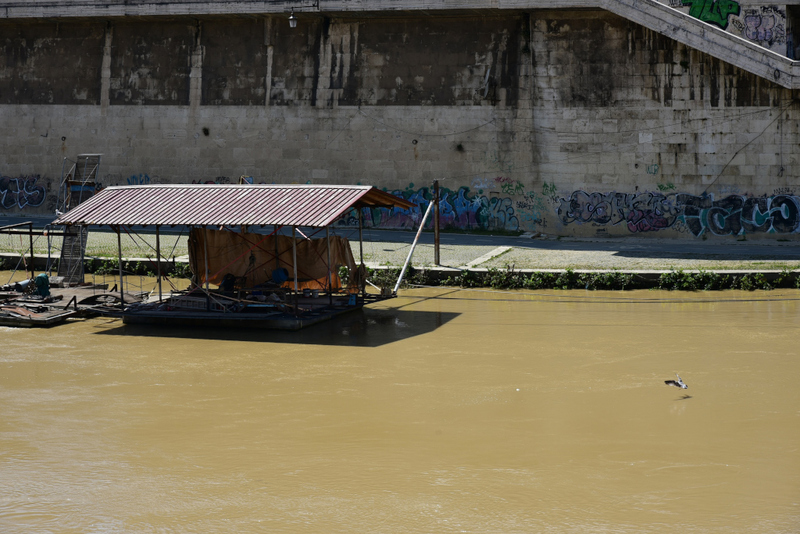 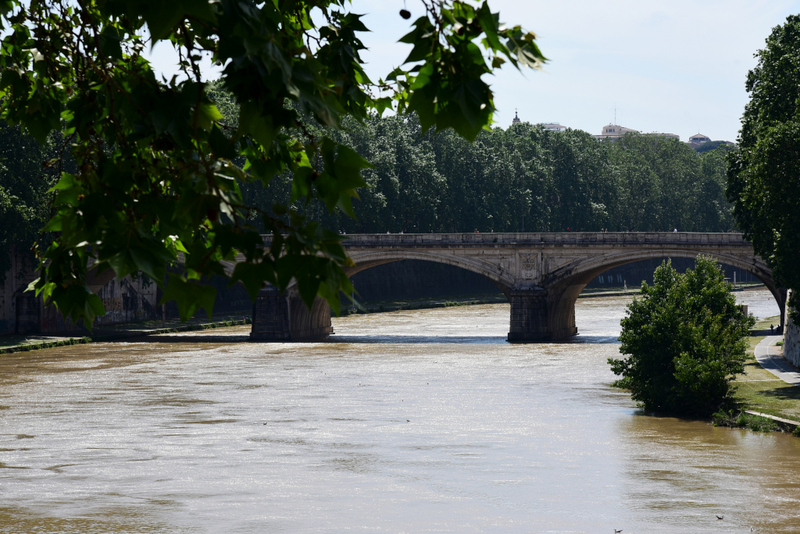 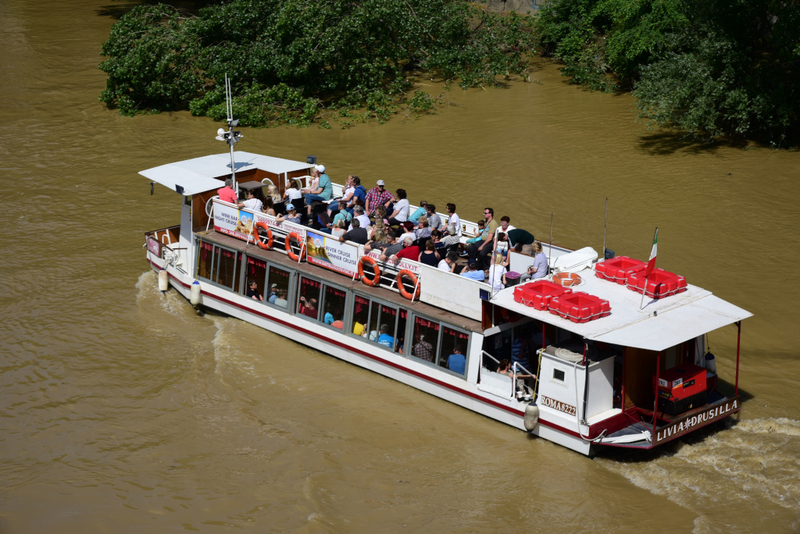 The Ponte rione is named after the Ponte Sant’ Angelo, leading across the Tiber to the Castel Sant’ Angelo. 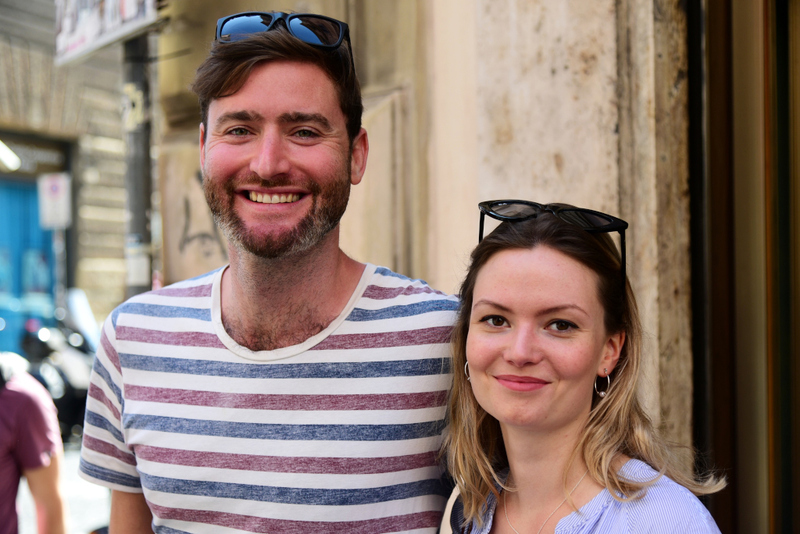 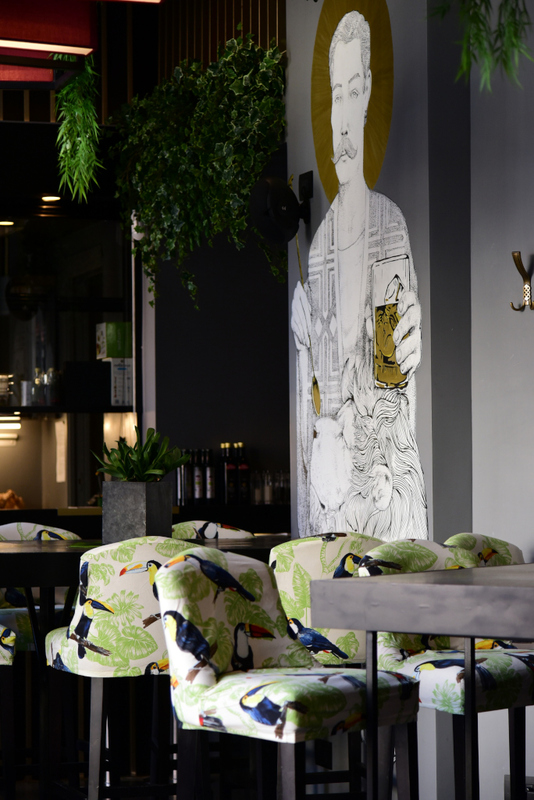 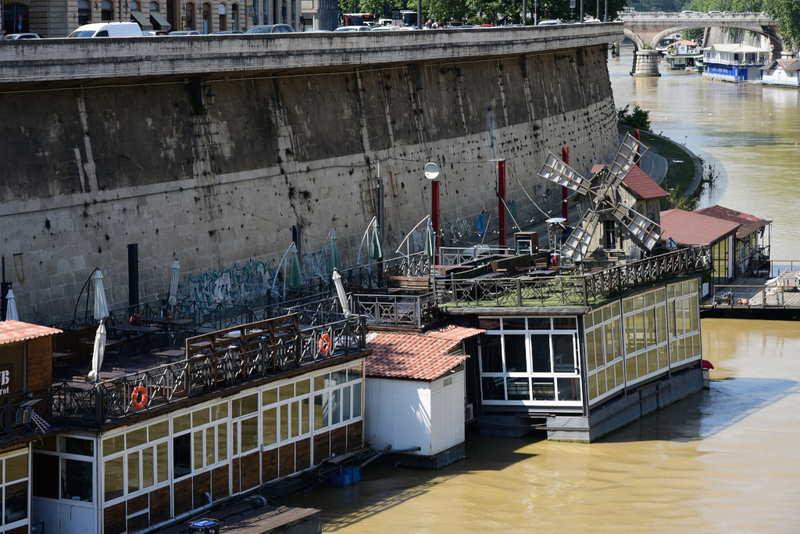 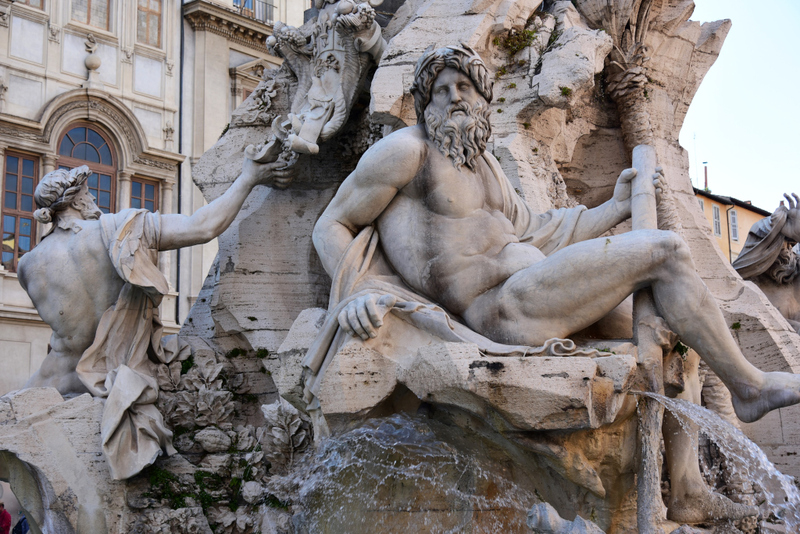 It is bounded to the west by the bridge, to the east by Piazza Navona, and to the south the top of the elegant Via Giulia. 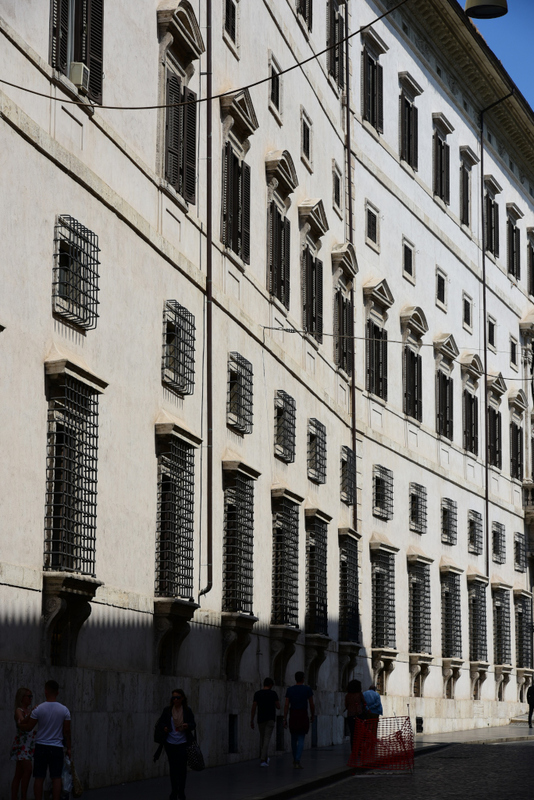 Much of its character was determined during the Renaissance, at which time the rione became an outpost for Florentine bankers. 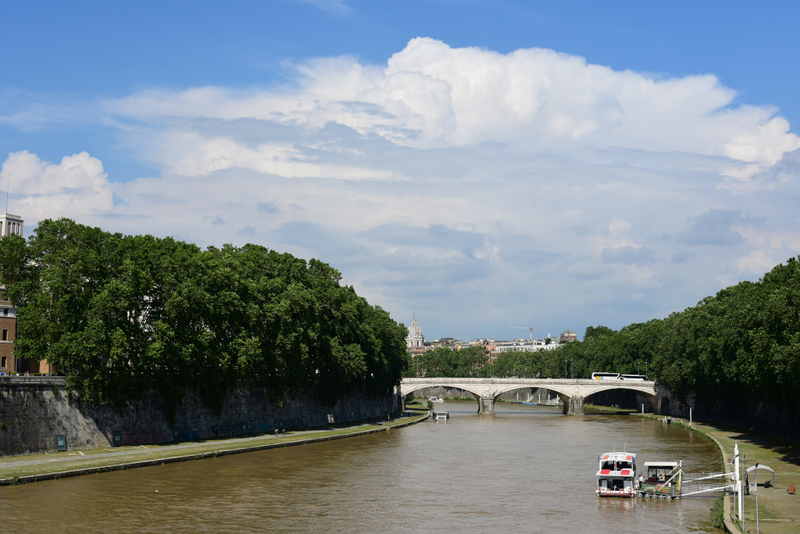 Castel Sant’ Angelo lies on the far side of the river, a visual anchor on the road towards the Vatican, which is a stone’s throw away. 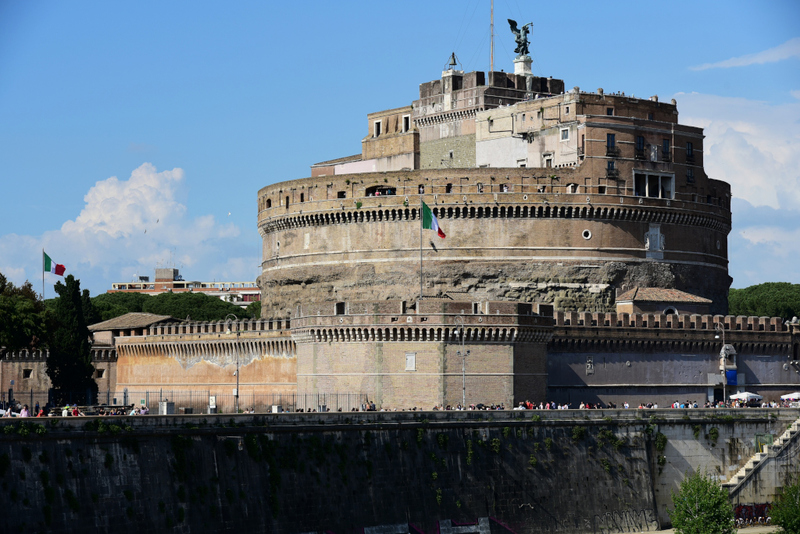 Originally commissioned as a mausoleum for Emperor Hadrian, it was also used as a burial site for other emperors, and later used as a fortress and castle. 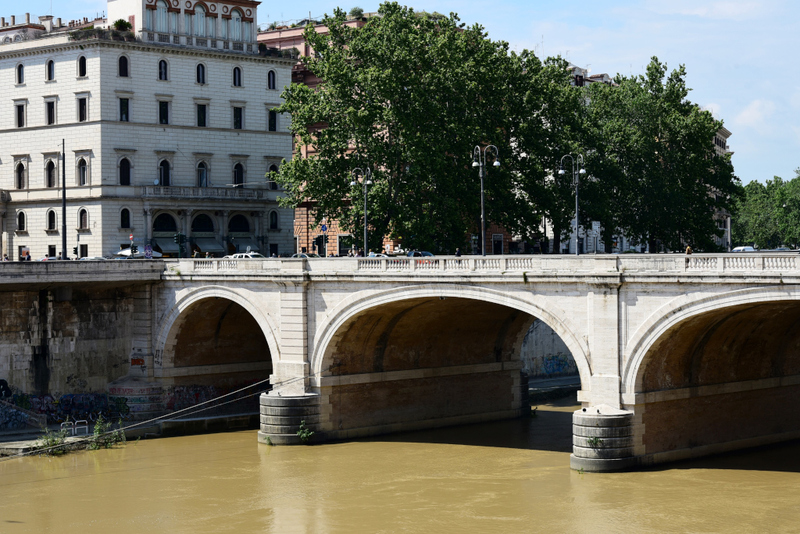 Ponte Sant’ Angelo – the bridge leading to the castle – was erected to provide access to Hadrian’s tomb, but in the Middle Ages was used an access route of pilgrims to St. Peter’s. 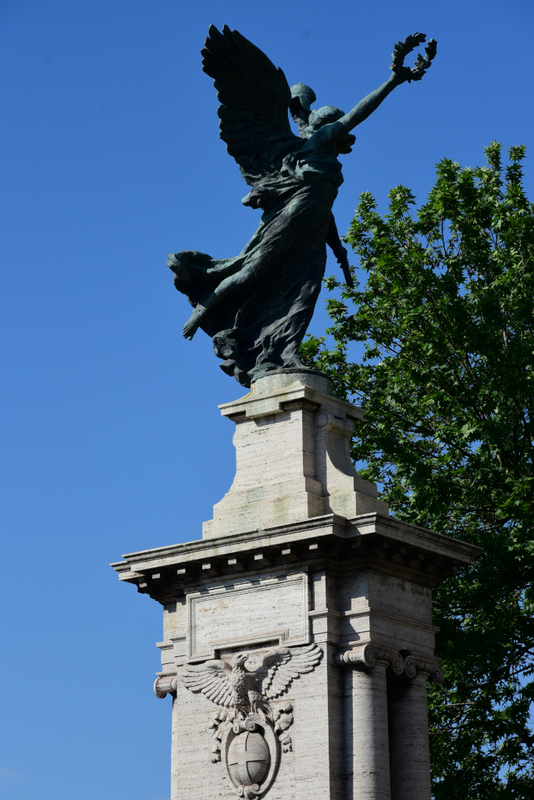 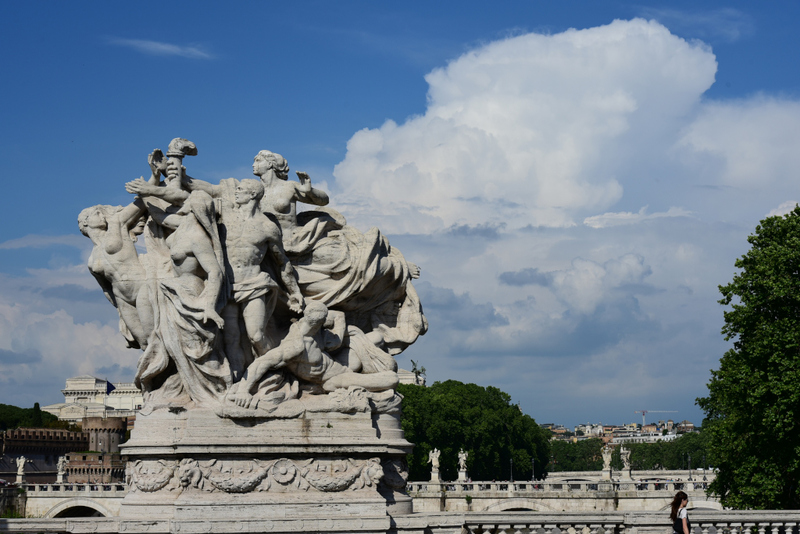 In the 16th and 17th centuries, sculptors including Bernini were commissioned to create the statues of angels that flank the bridge. 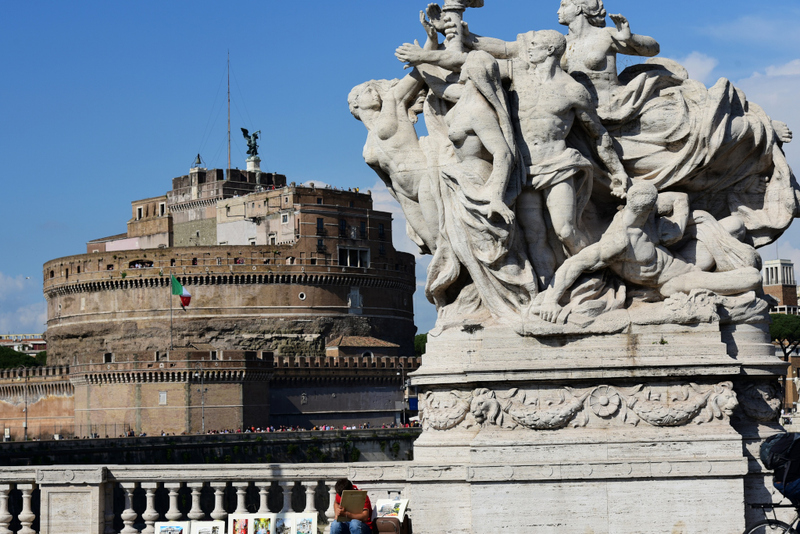 At one time, the area around Castel Sant’ Angelo attracted modest numbers of visitors – but as the photos illustrate, those times are long gone. 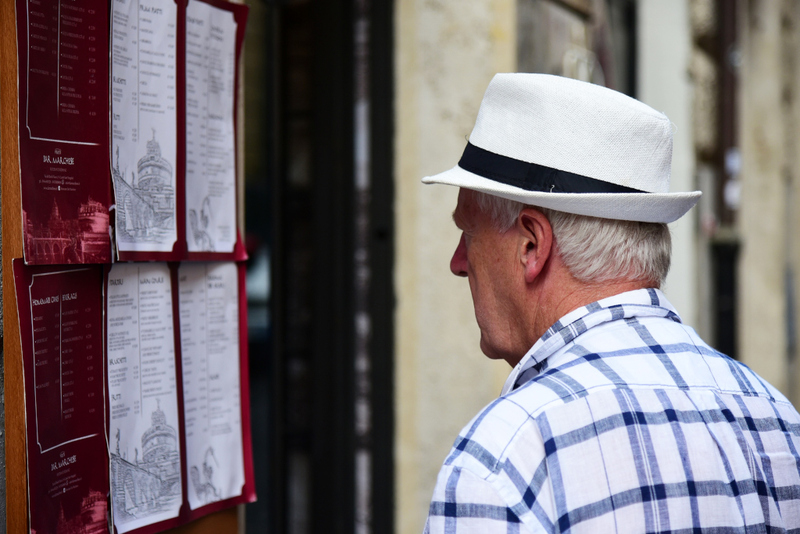 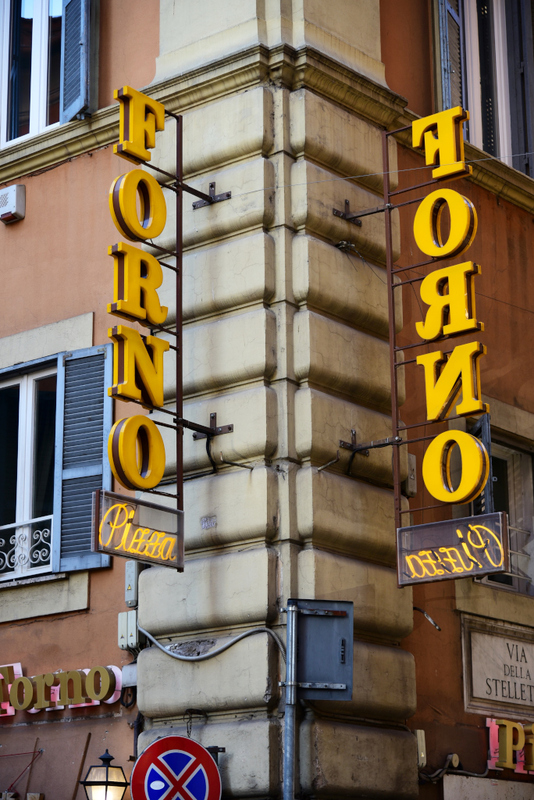 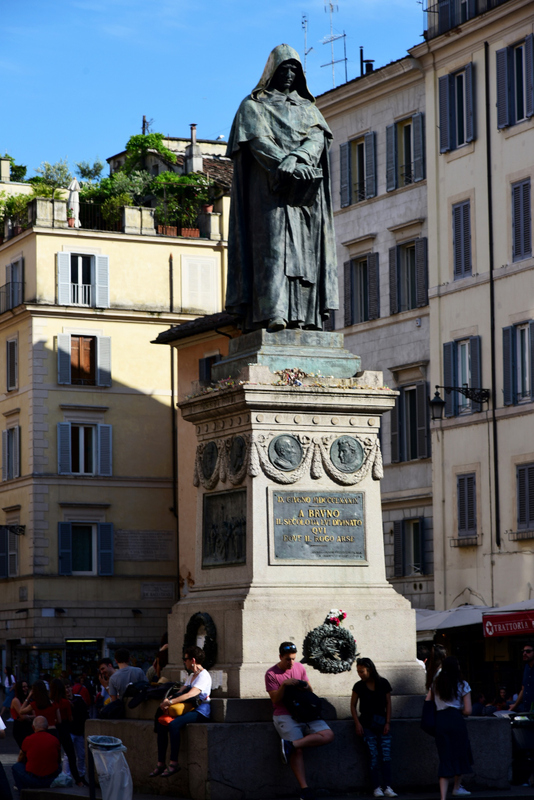 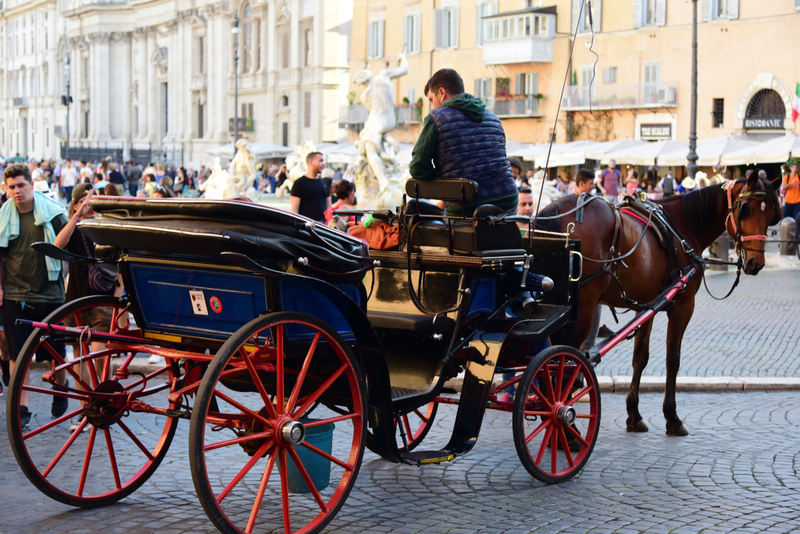 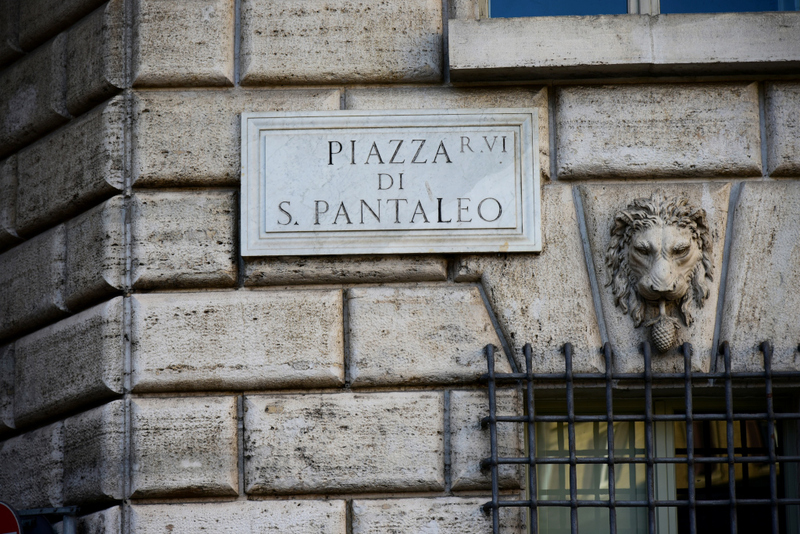 The Parione rione is truly at the centre of things in the Centro Storico, with Piazza Navona in the northeast corner and Campo de’ Fiori in the southeast corner, and transected by Corso Vittorio Emanuele II. 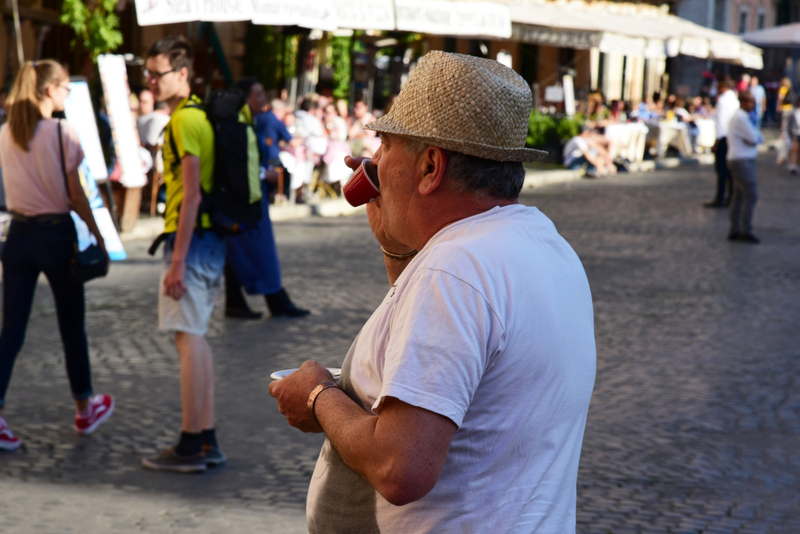 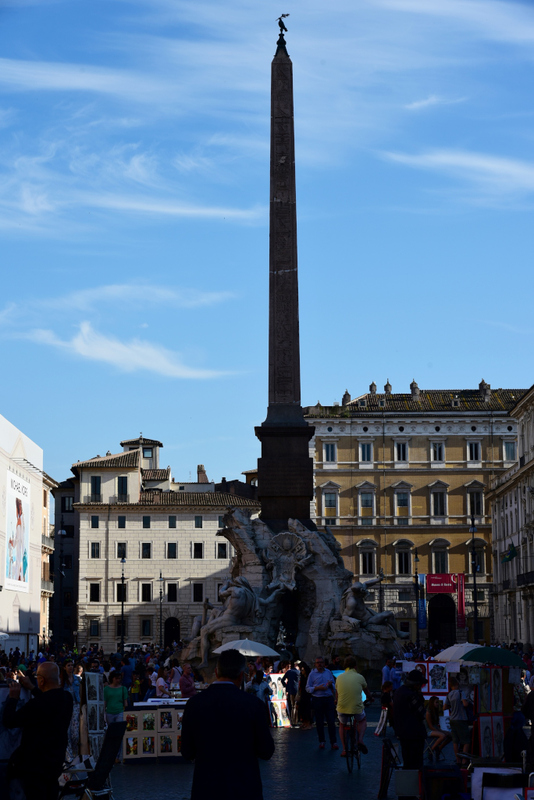 Piazza Navona apparently follows the contours of the ancient stadium of Domitian. 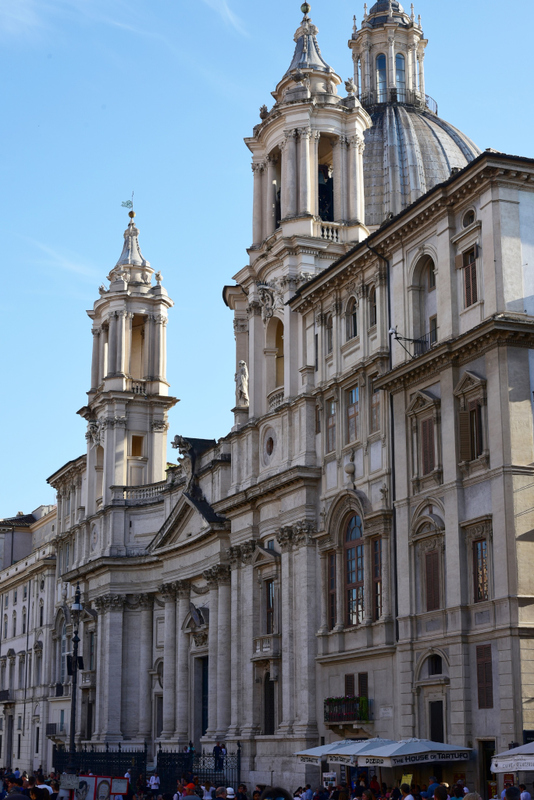 Piazza Navona became a premiere example of Baroque Roman architecture and art during the pontificate of Innocent X in the mid 17th century. 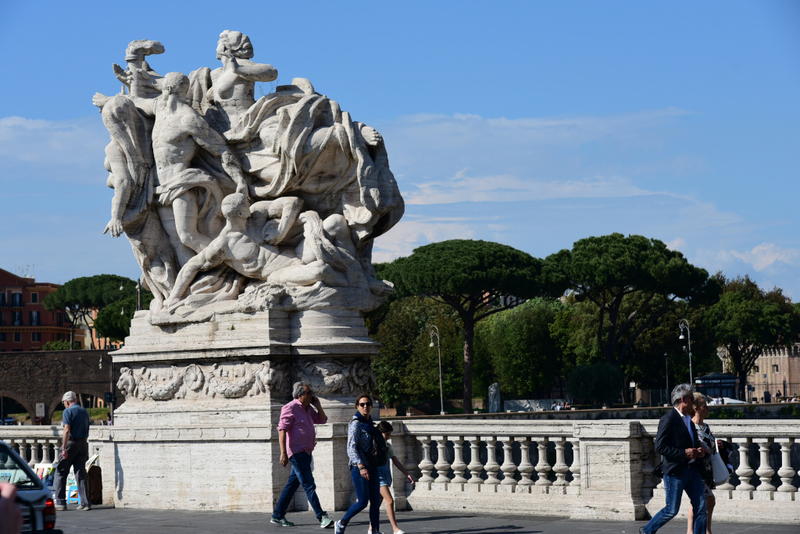 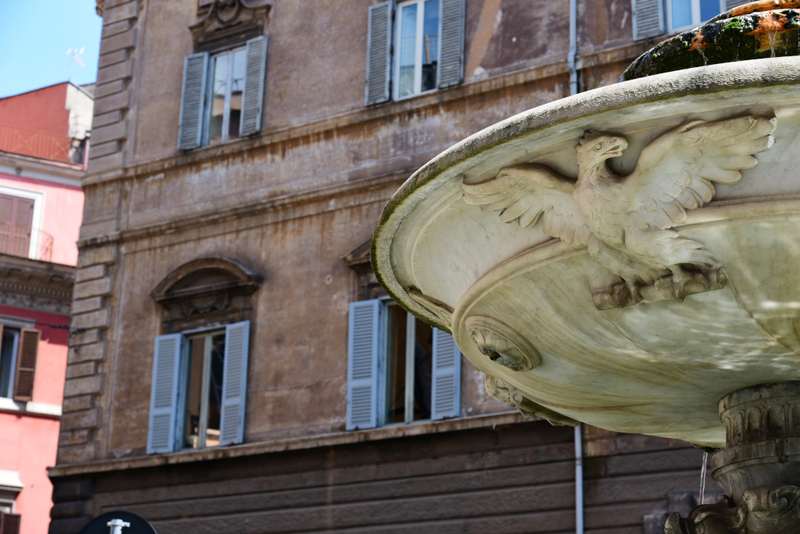 In the center stands Bernini’s Fontana dei Quattro Fiumi, topped by the Obelisk of Domitian, and to the sides, the church of Sant’Agnese in Agone as well as pope’s family residence, the Pamphili palace. 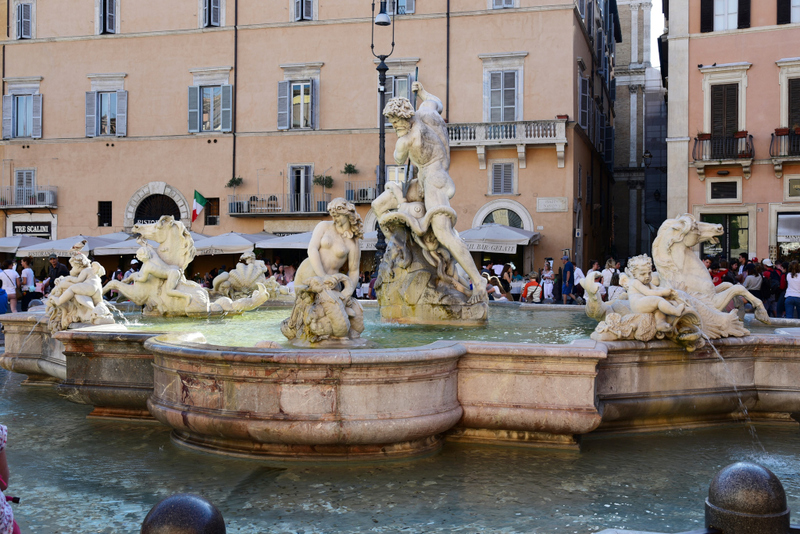 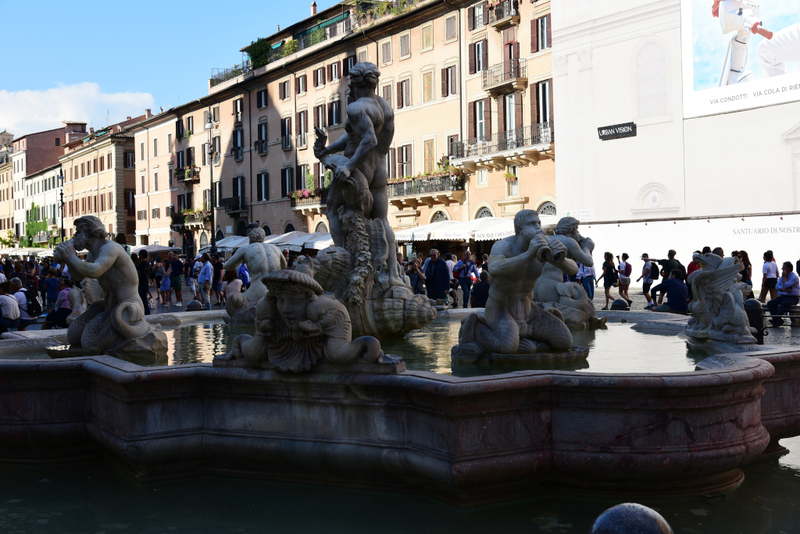 The two other fountains on the Piazza Navona are Fontana del Moro with a basin and four Tritons on the south end, and at the northern end the Fountain of Neptune. 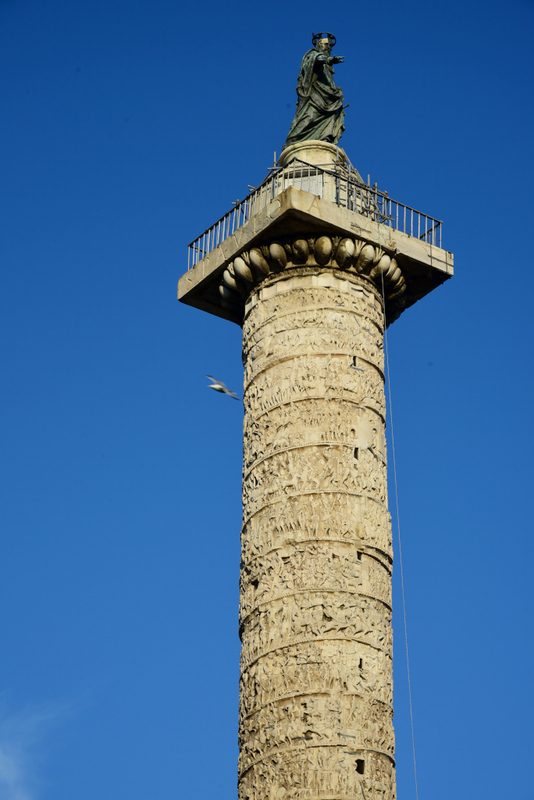 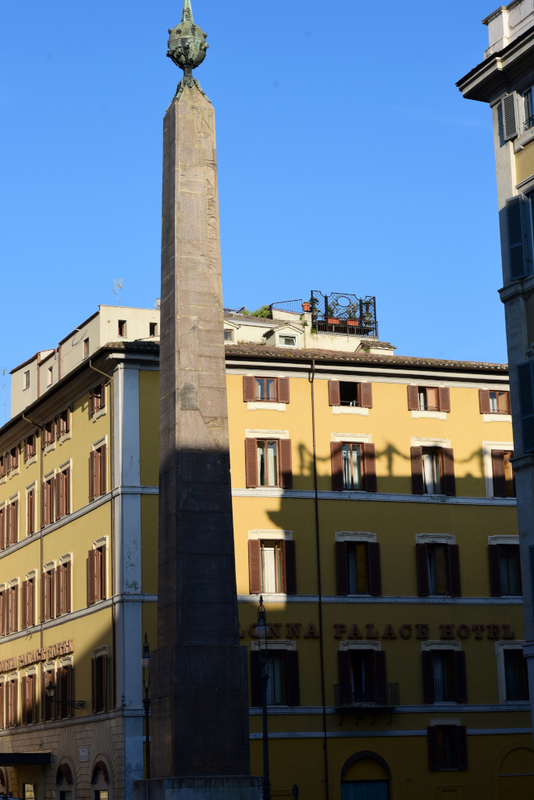 Rione Colonna takes its name after the column erected in honour of Marcus Aurelius. 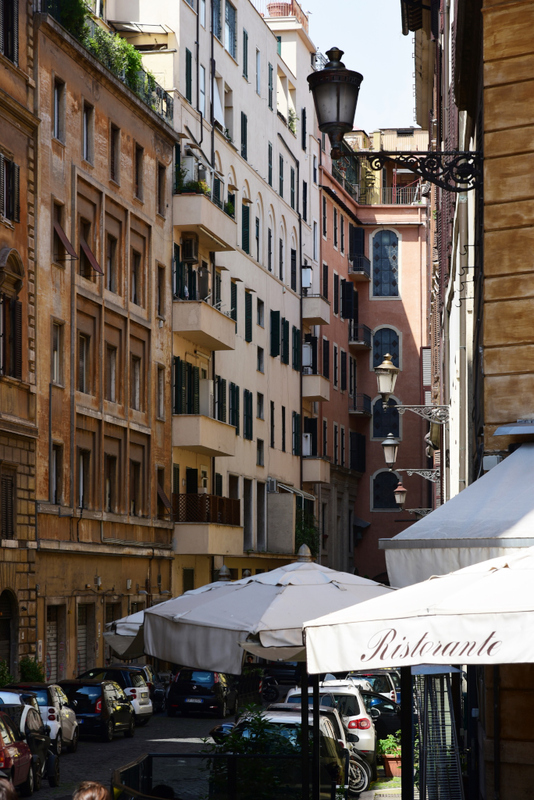 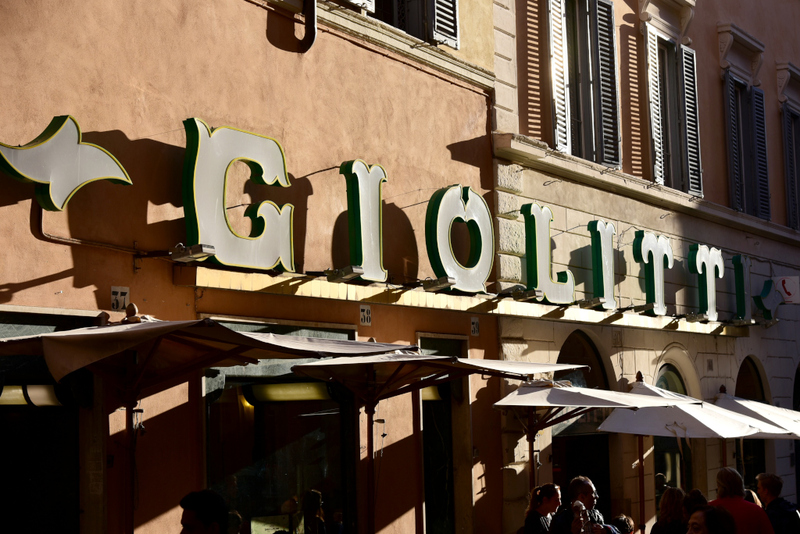 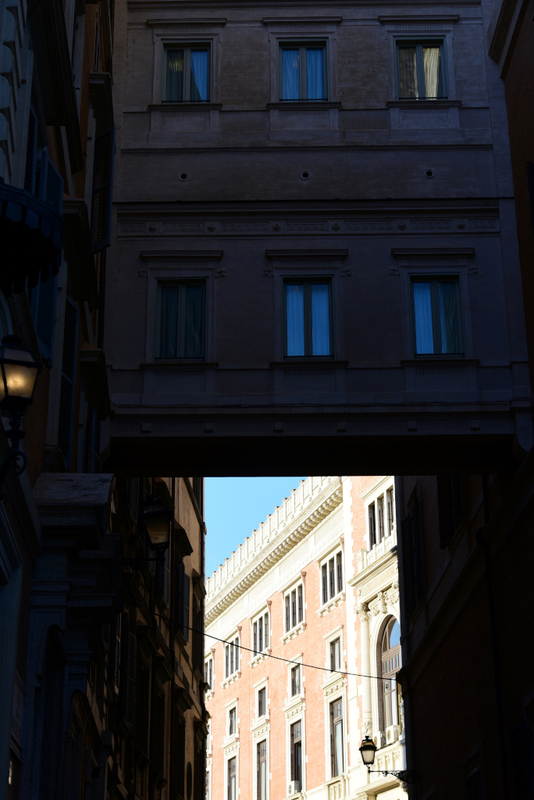 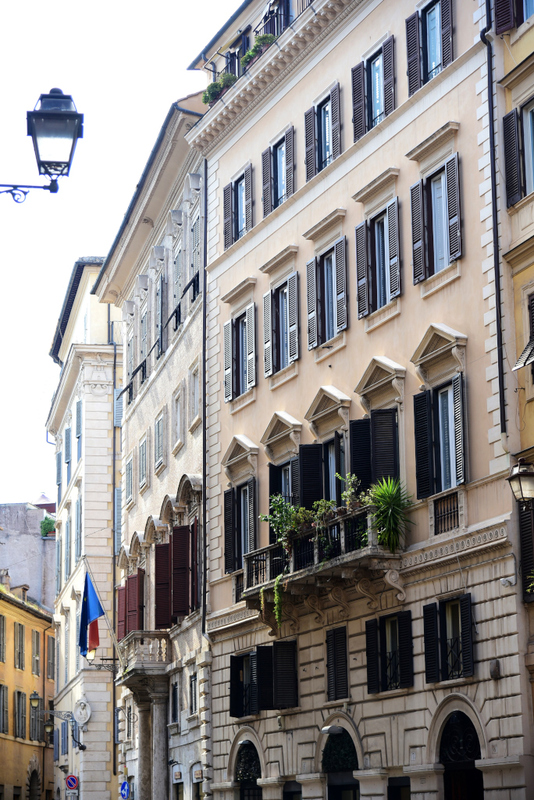 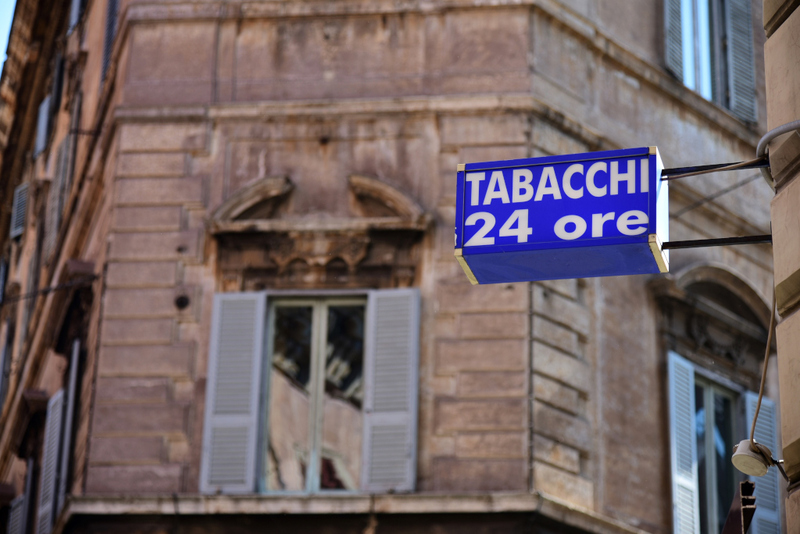 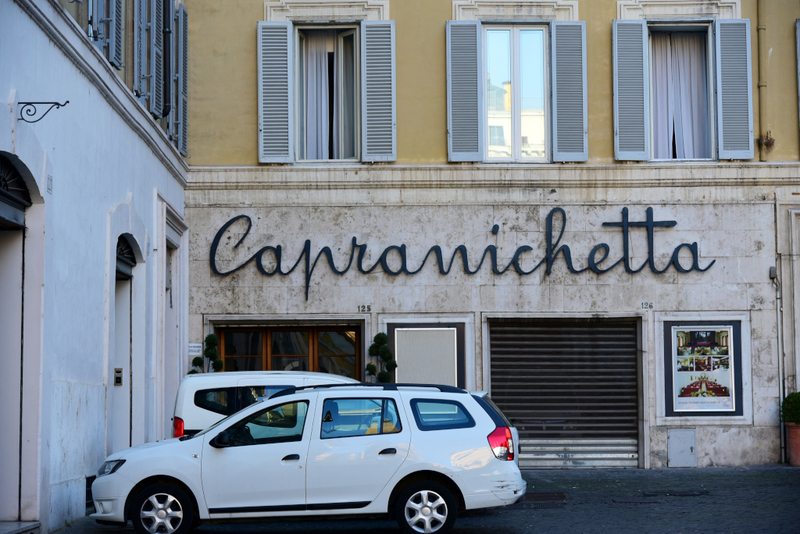 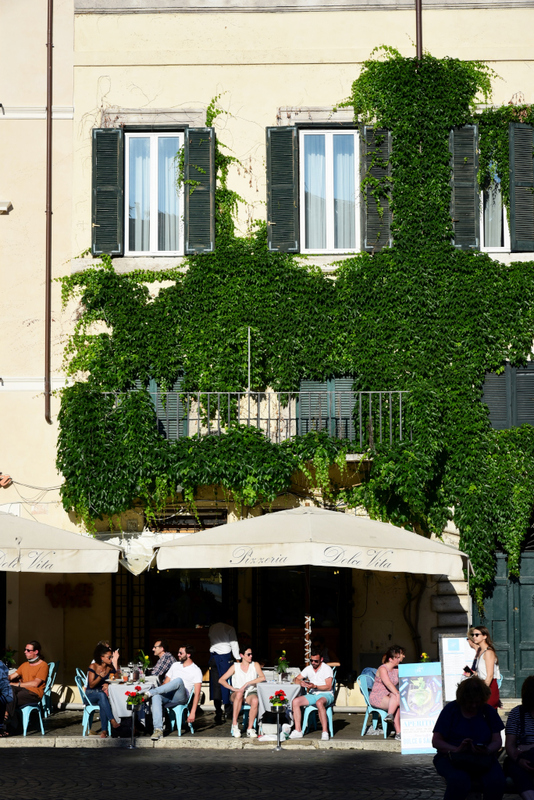 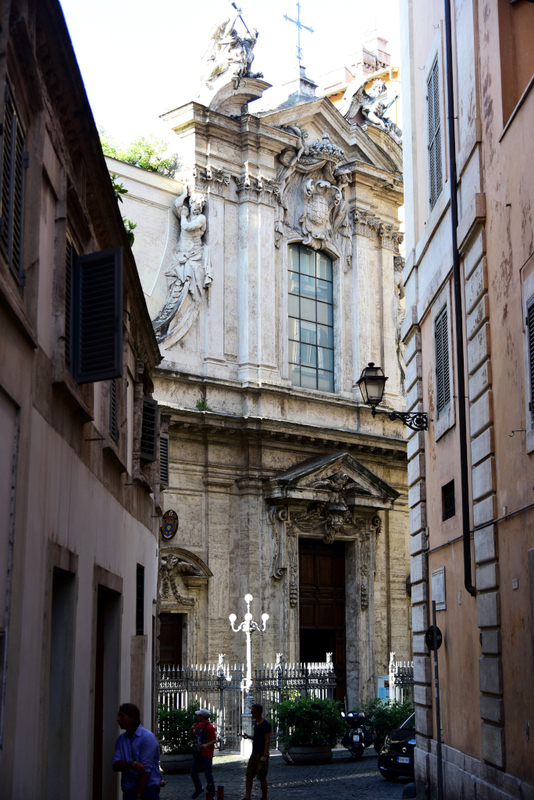 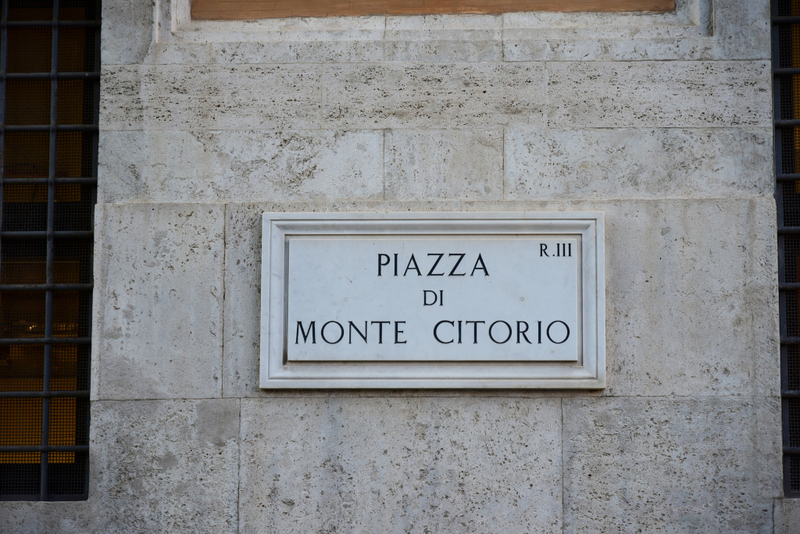 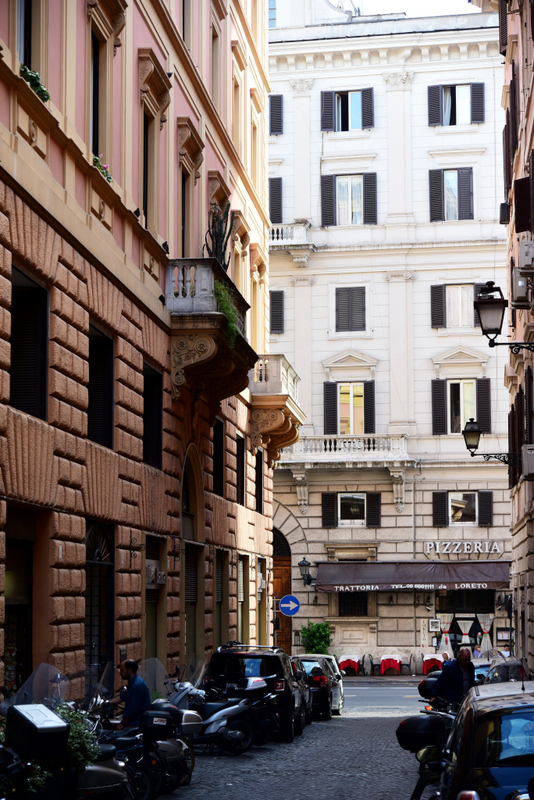 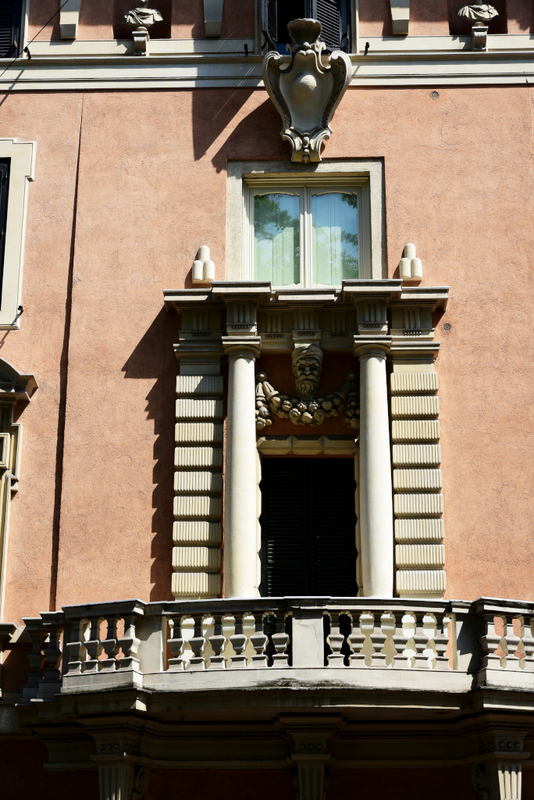 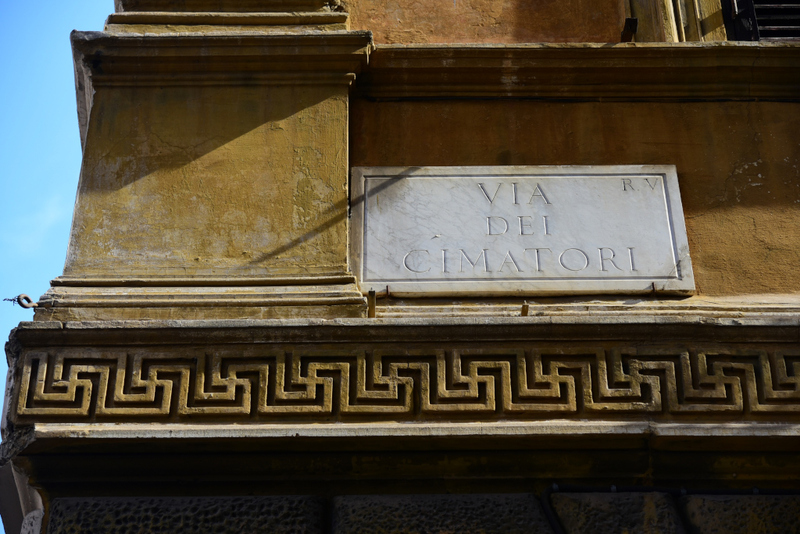 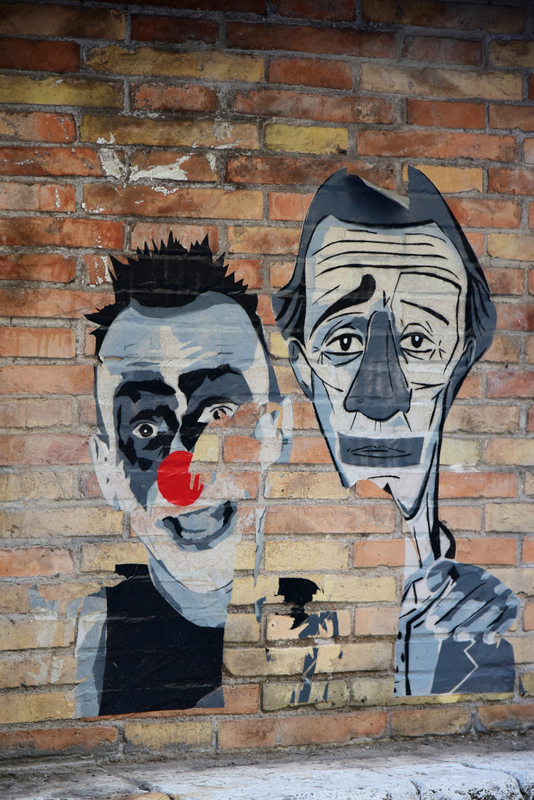 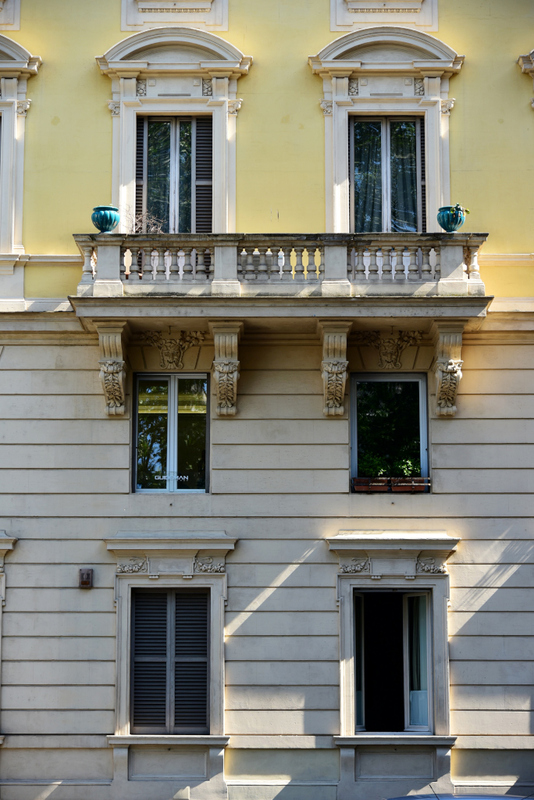 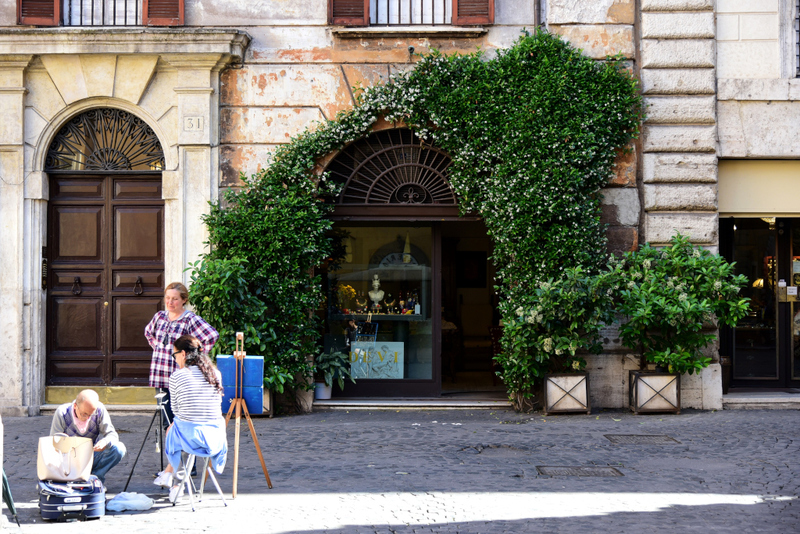 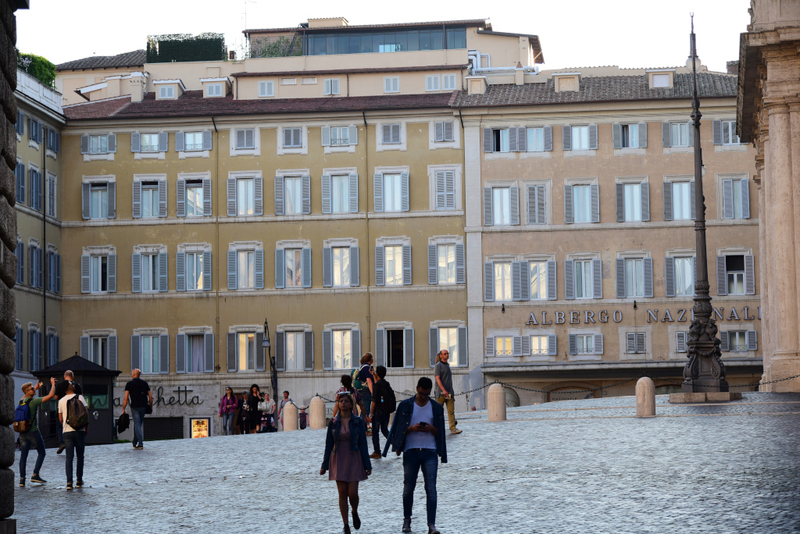 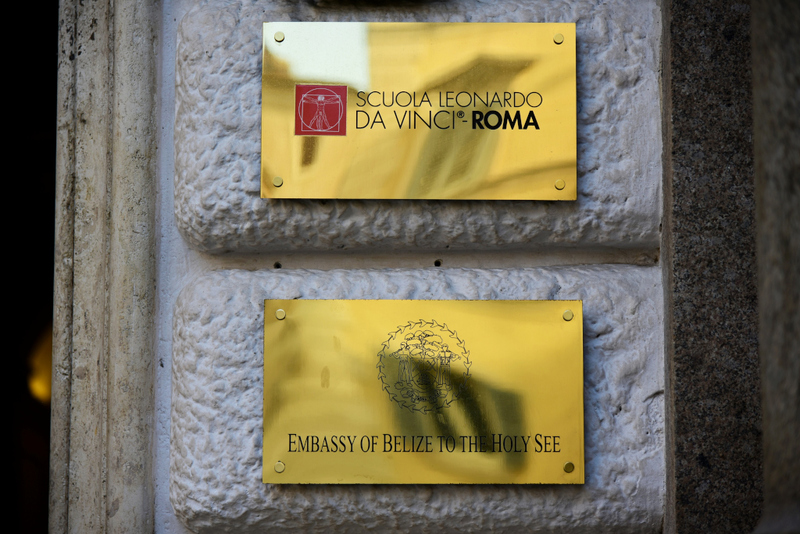 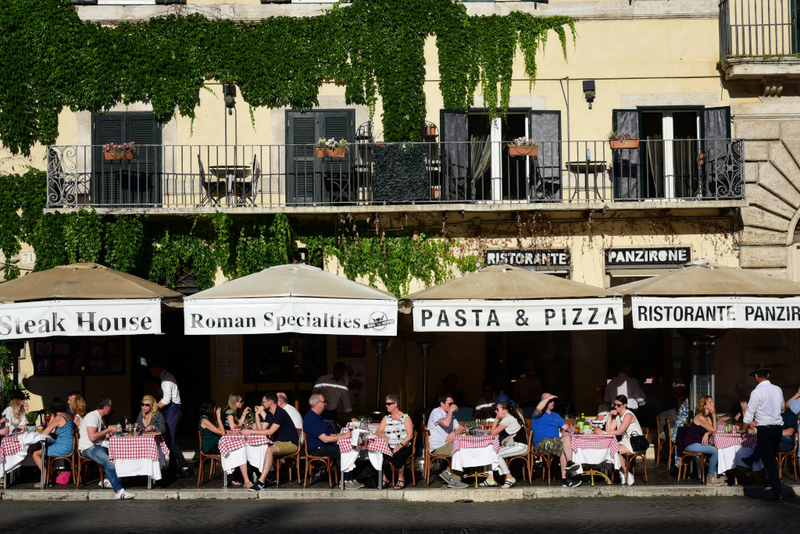 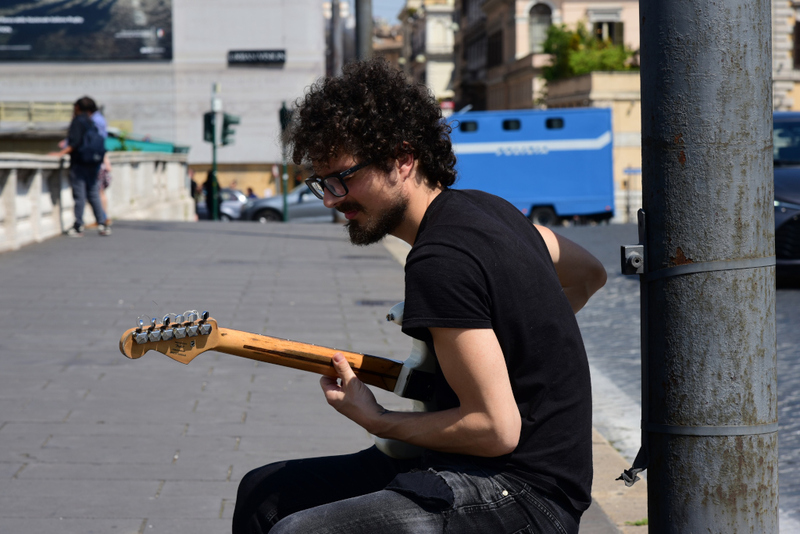 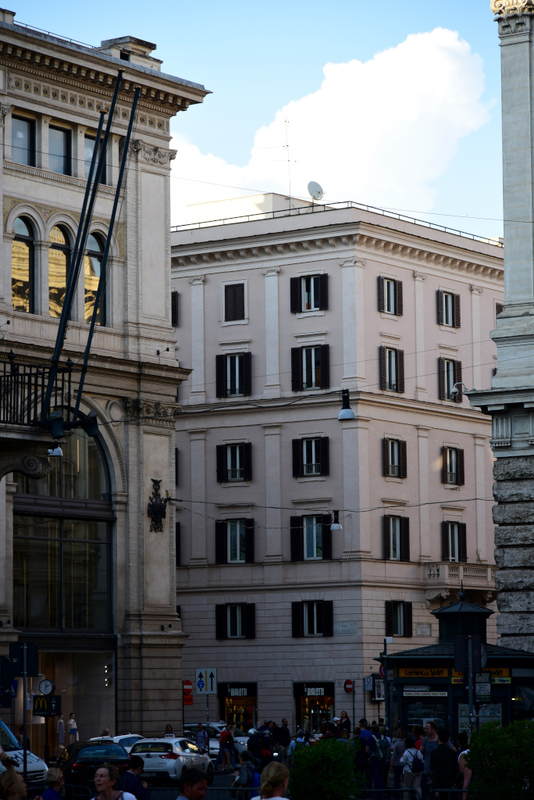 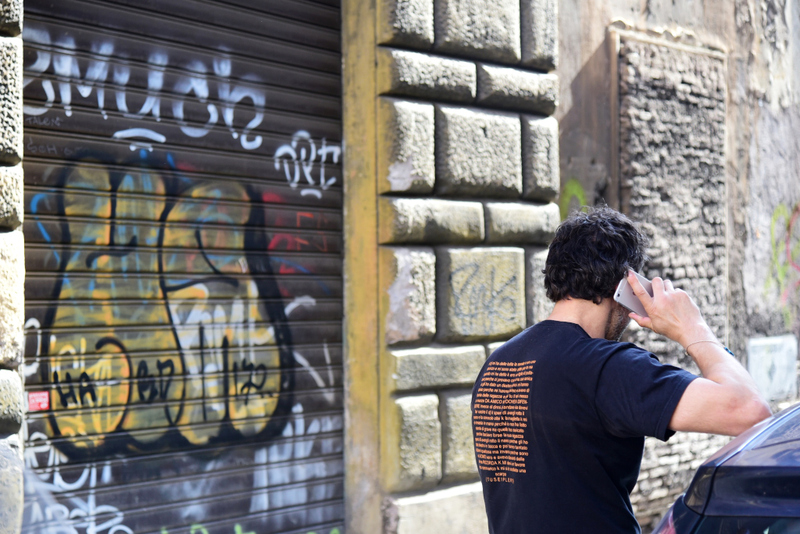 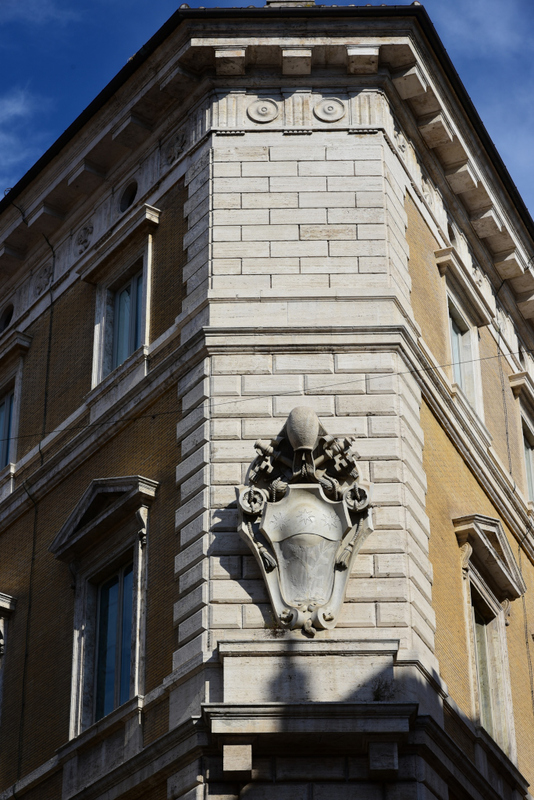 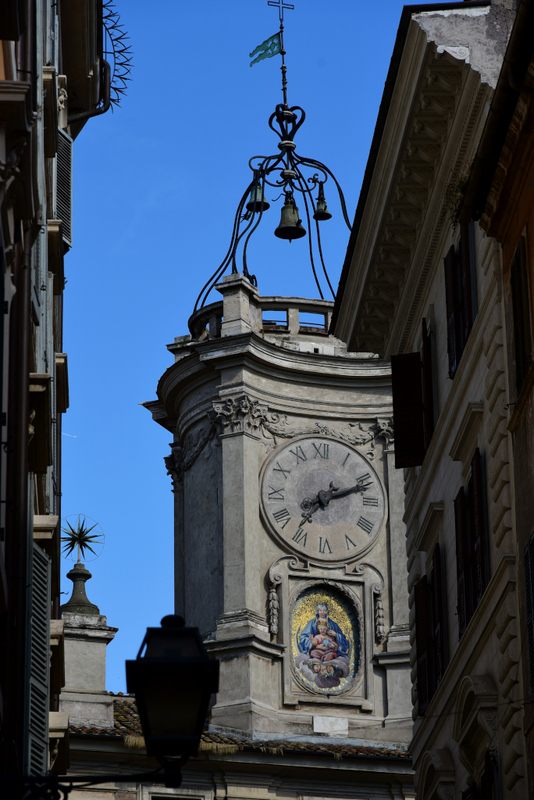 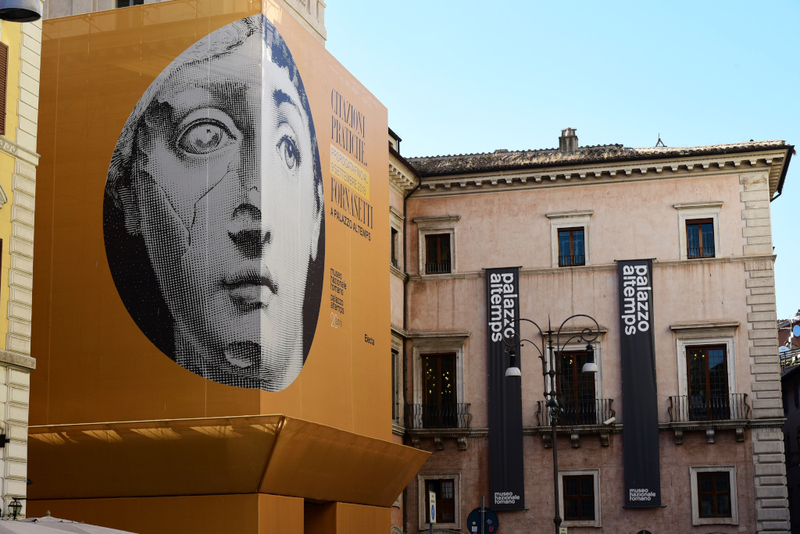 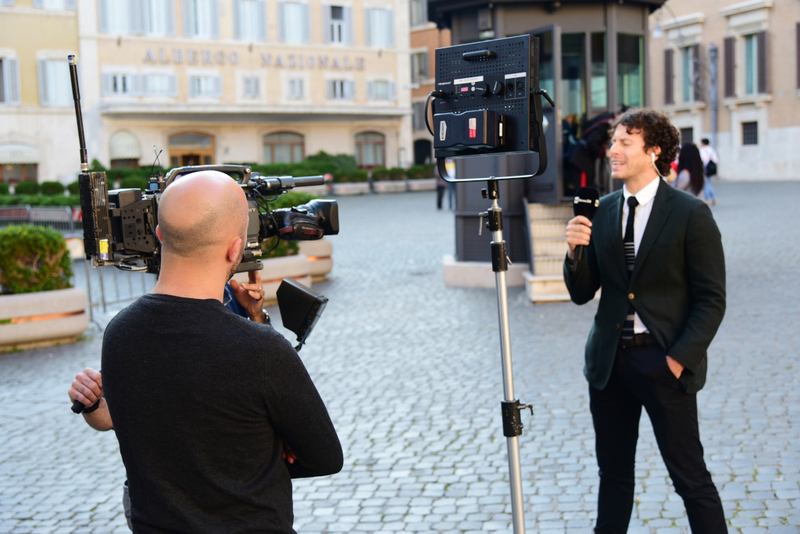 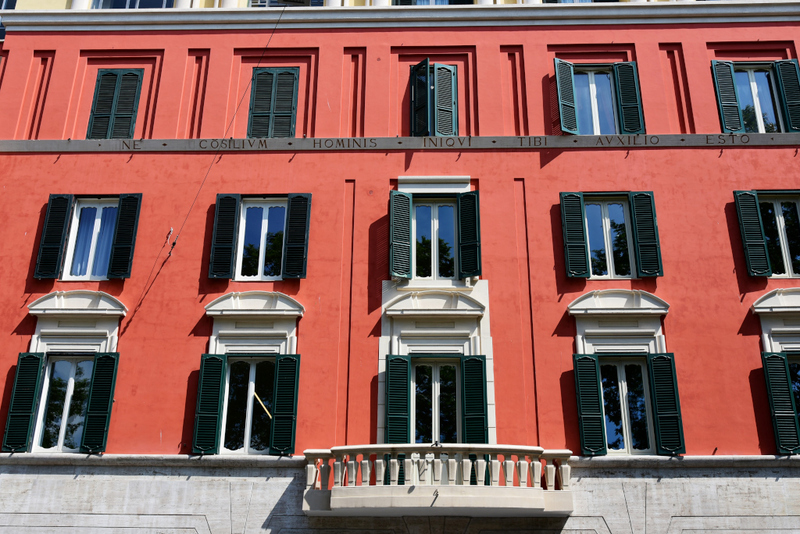 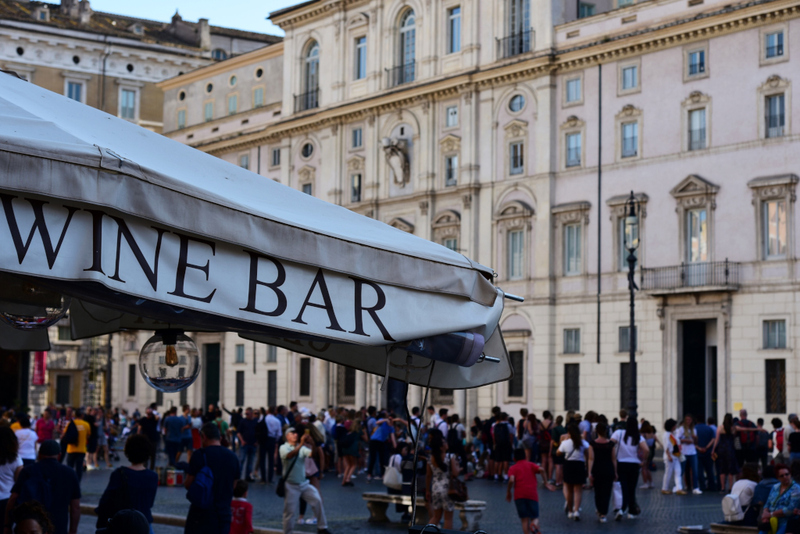 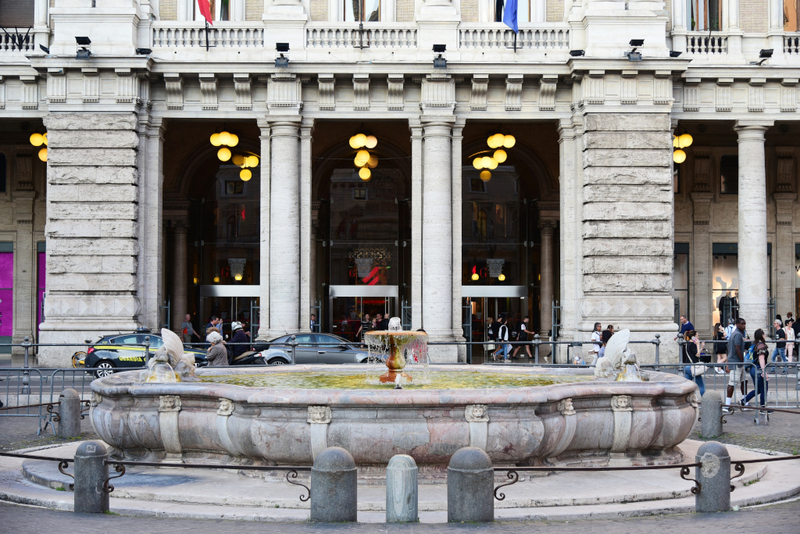 The rione today focuses on the Piazza Colonna and the Palazzo Montecitorio. 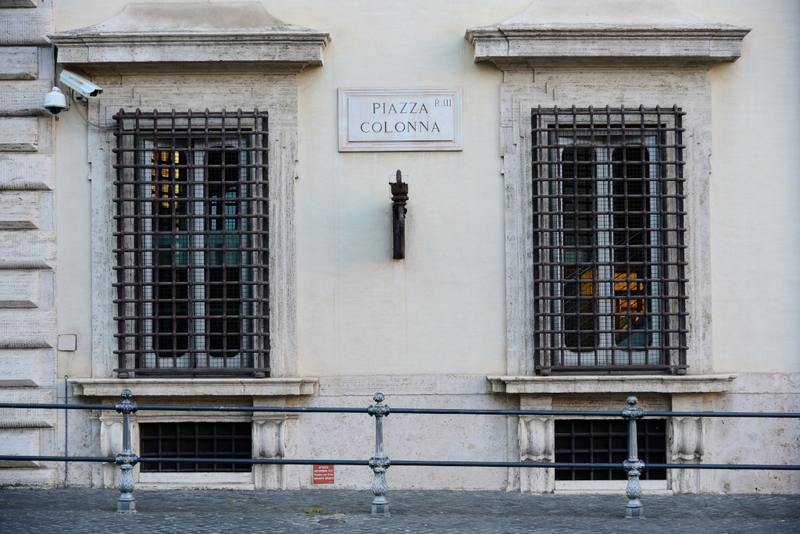 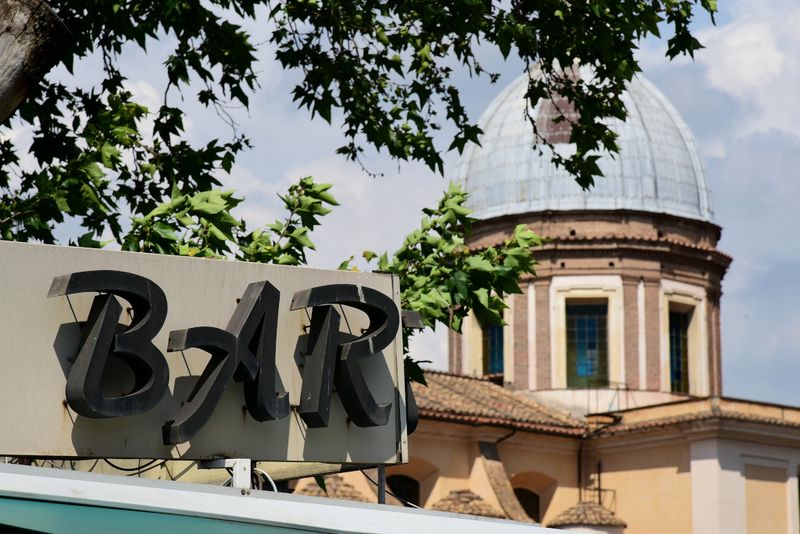 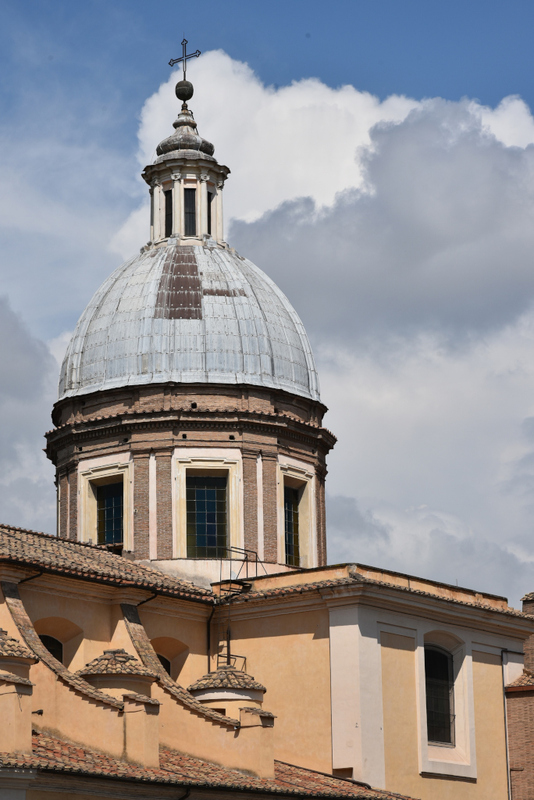 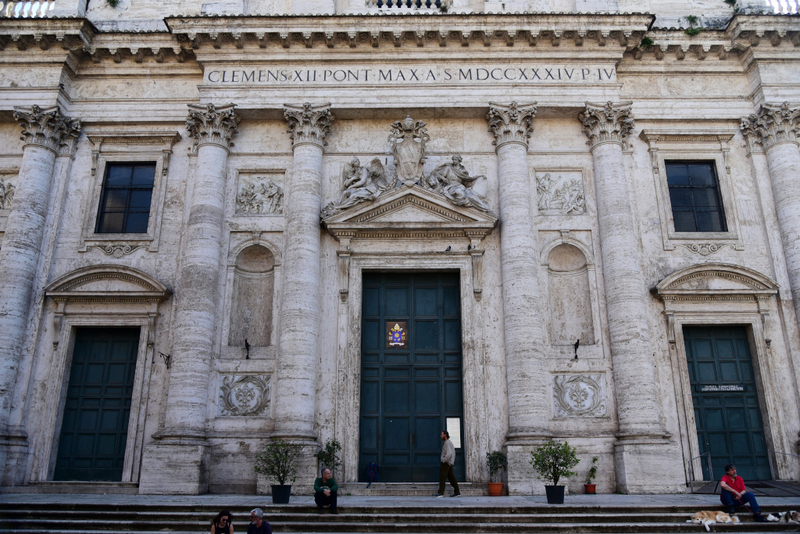 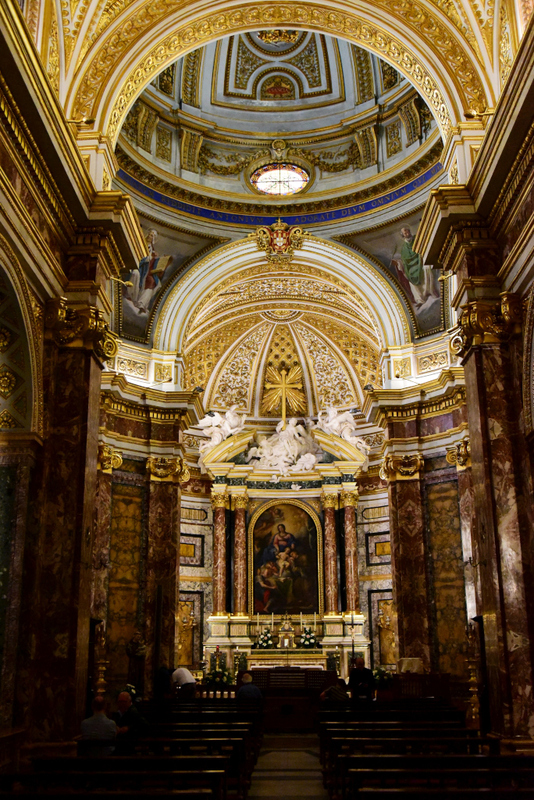 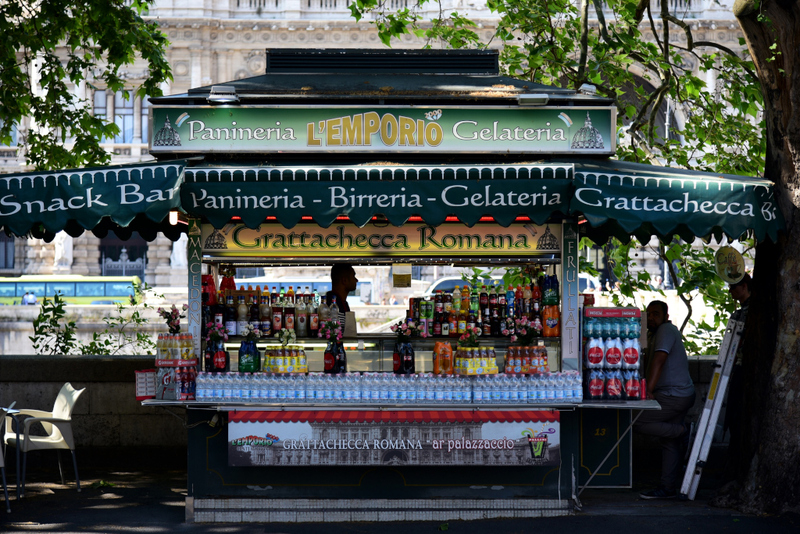 The Piazza Colonna dates back to antiquity, at which time hosted a temple to Marcus Aurelius. 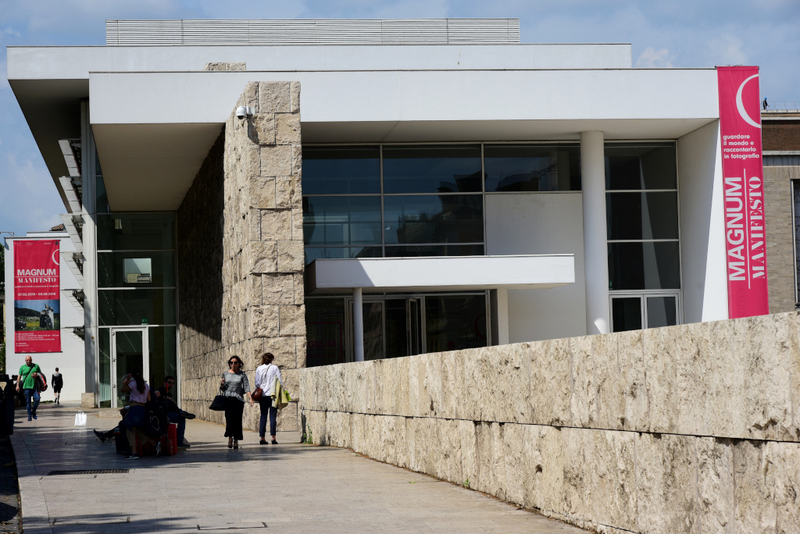 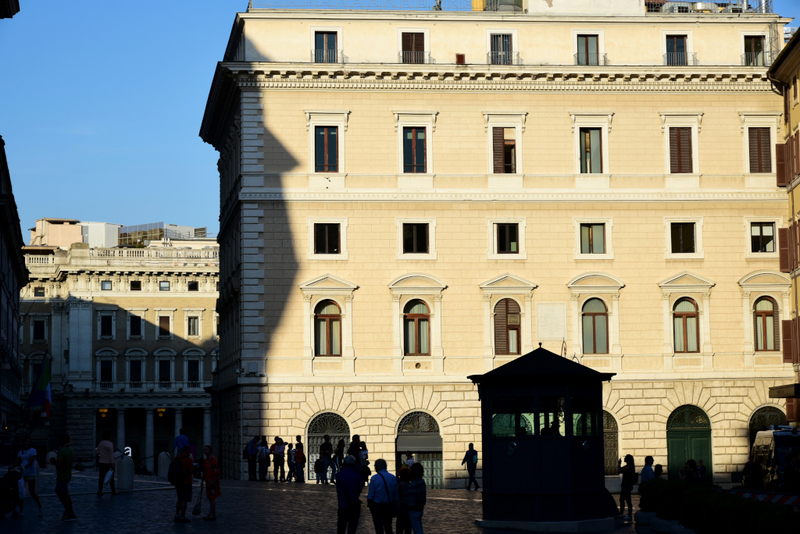 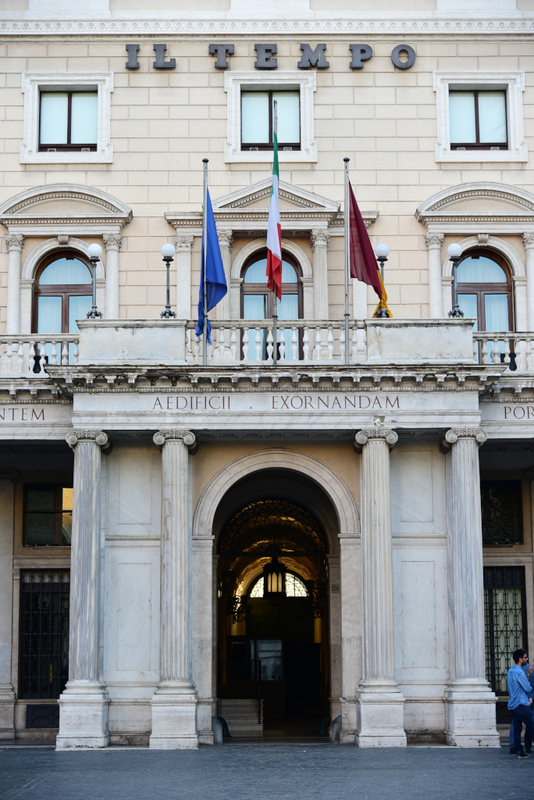 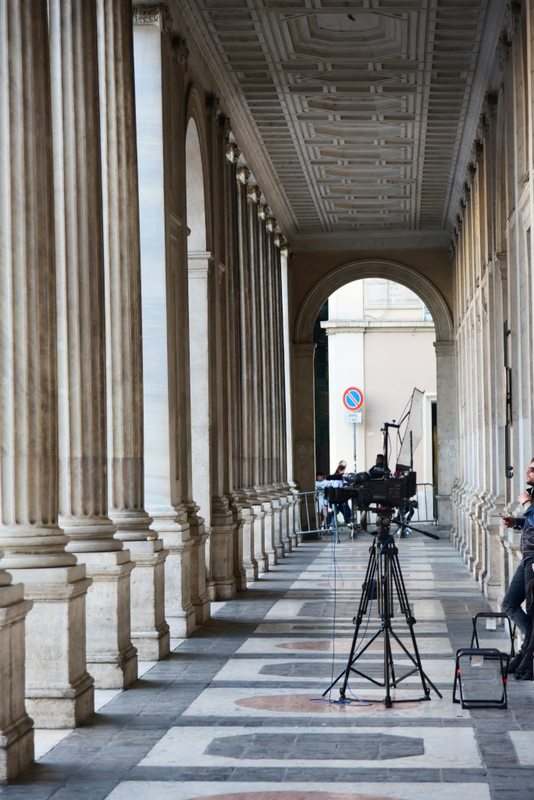 Today is home to the Palazzo Chigi, the seat of the Italian government. 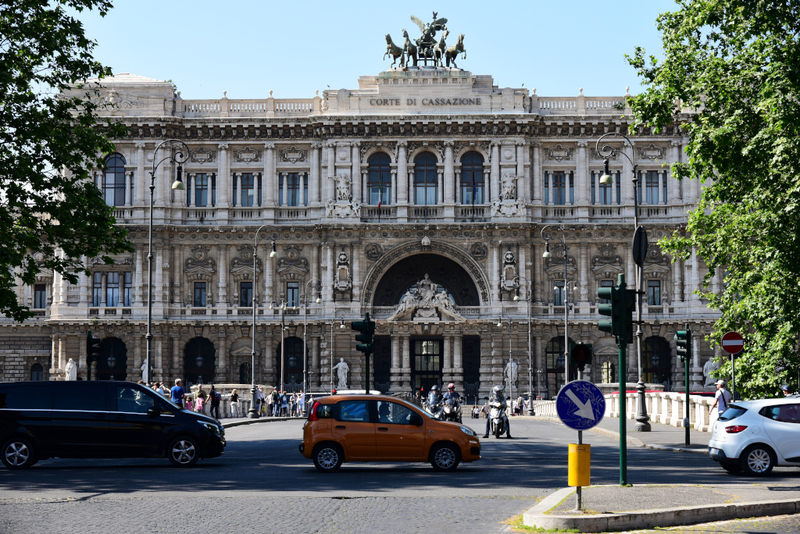 Originally designed by Bernini for a nephew of Gregory XV, Palazzo Montecitorio went through a number of transitions in its history, and today is used by the Italian Chamber of Deputies.